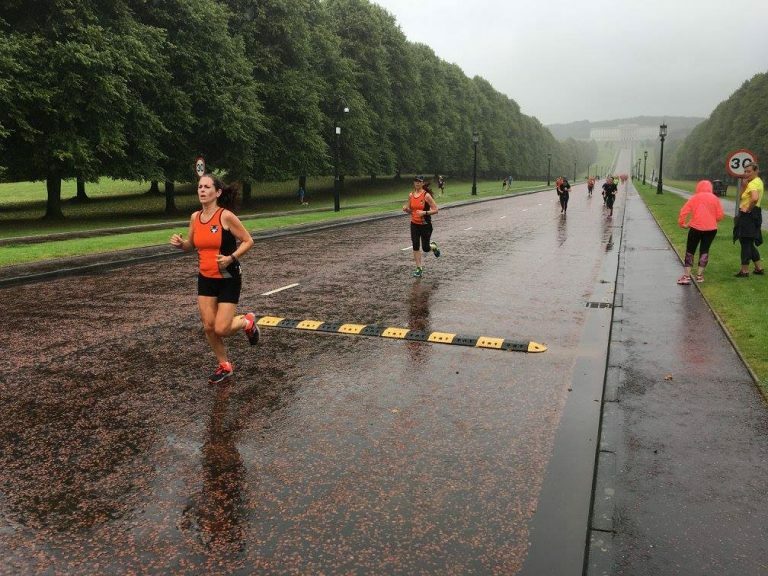 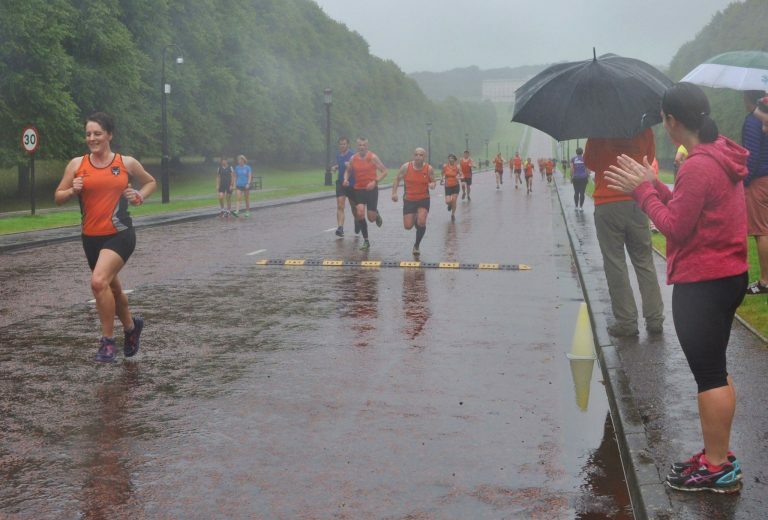 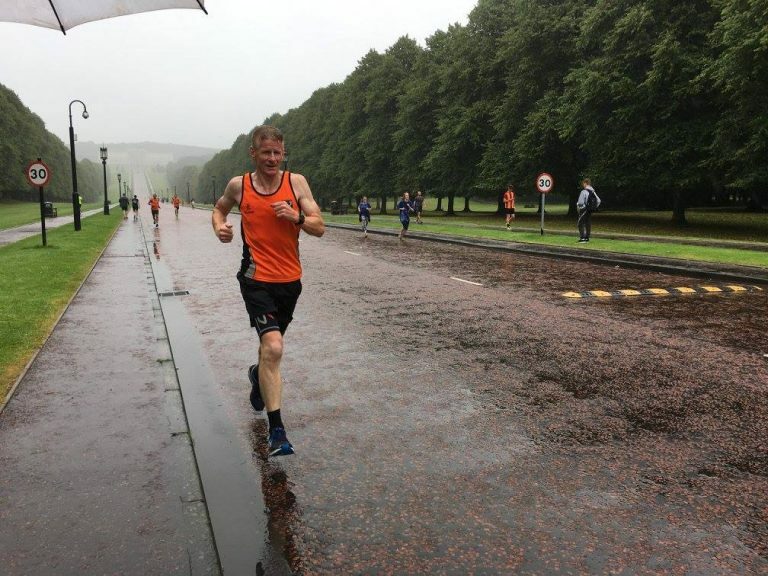 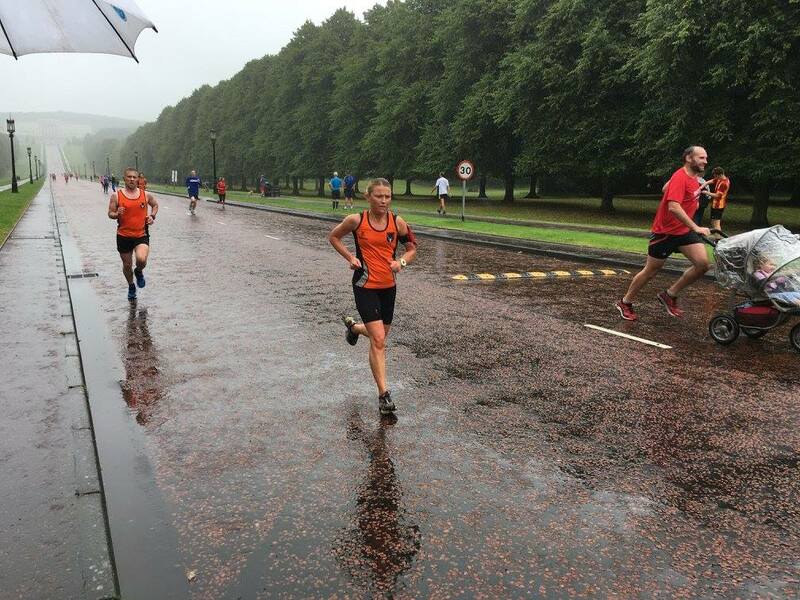 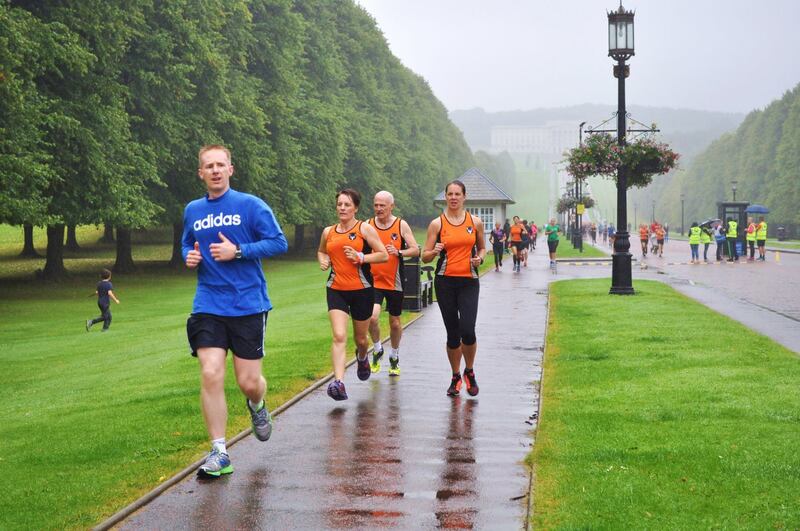 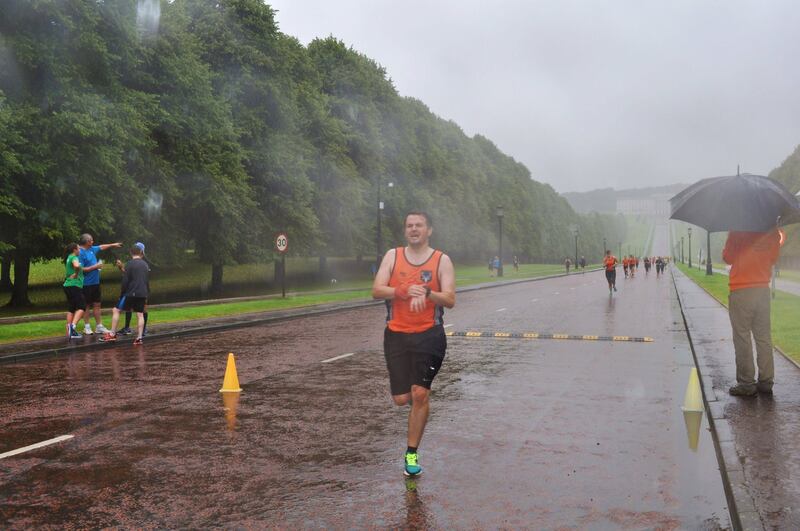 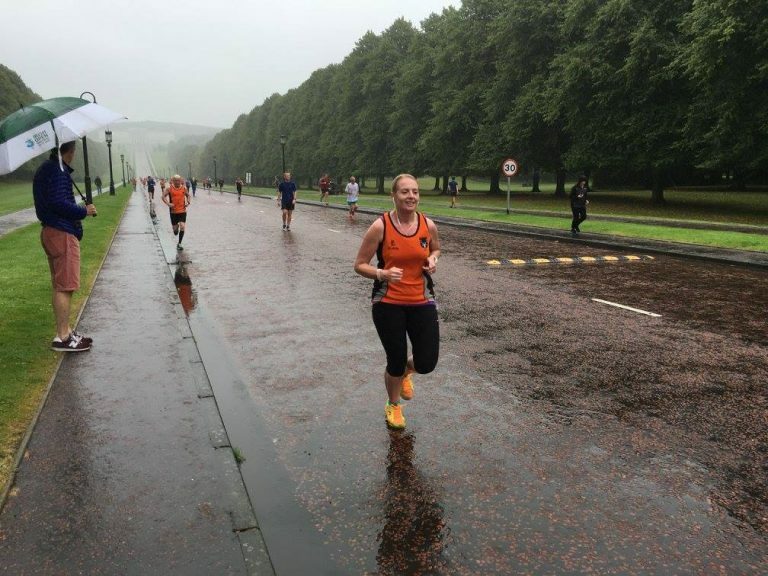 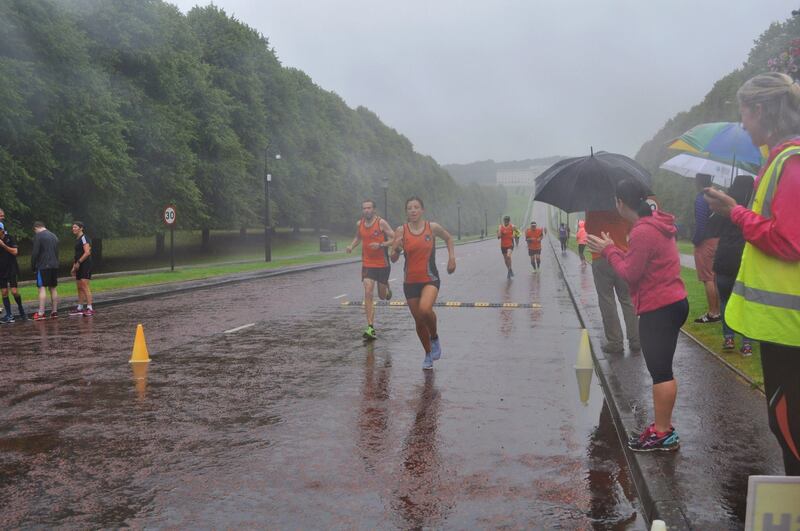 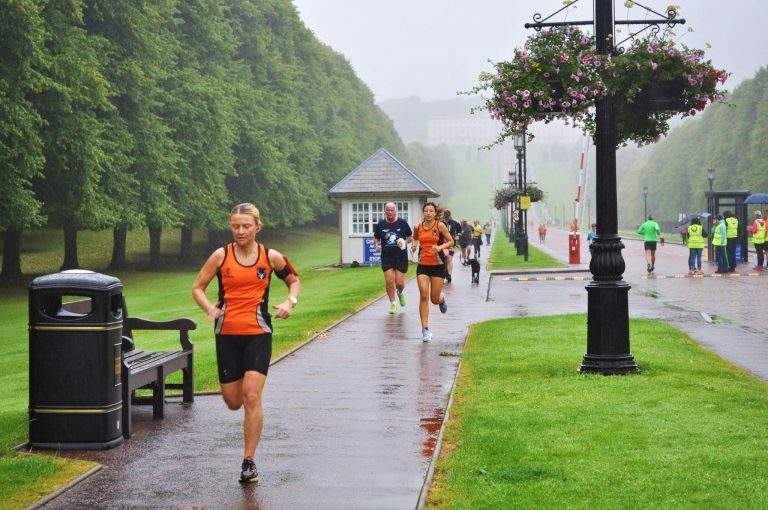 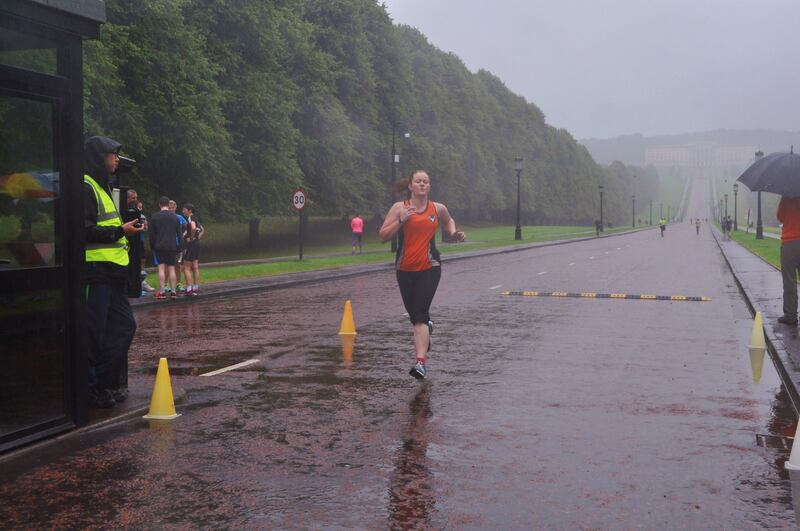 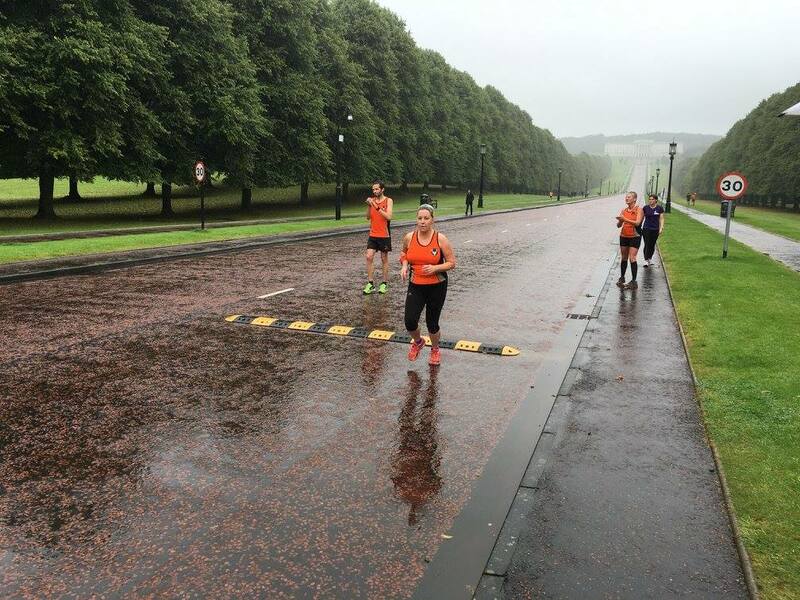 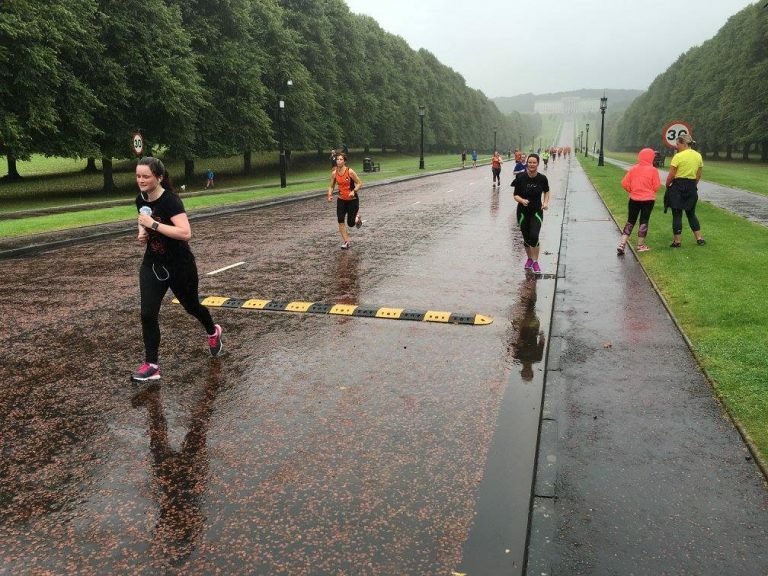 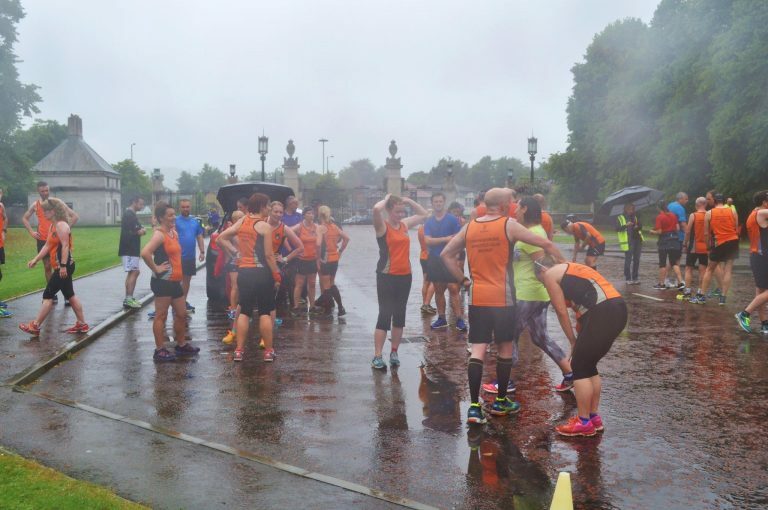 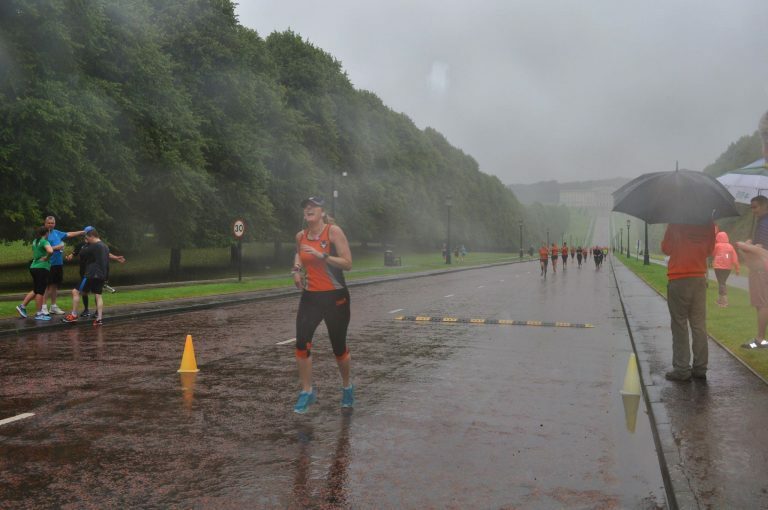 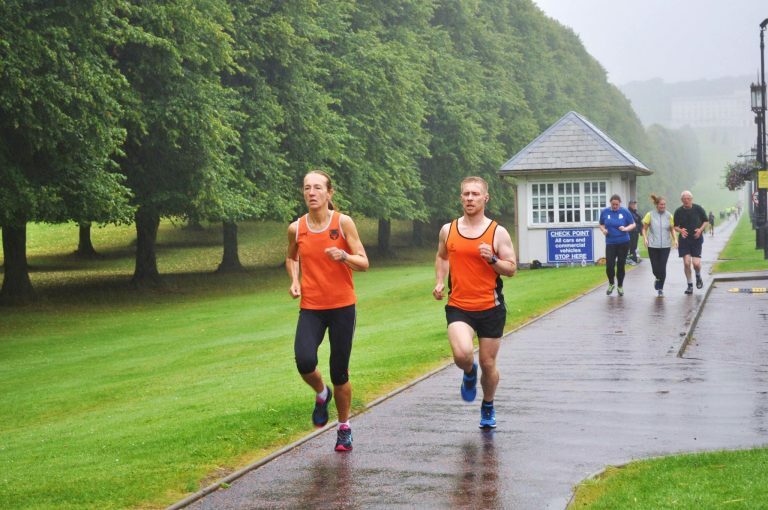 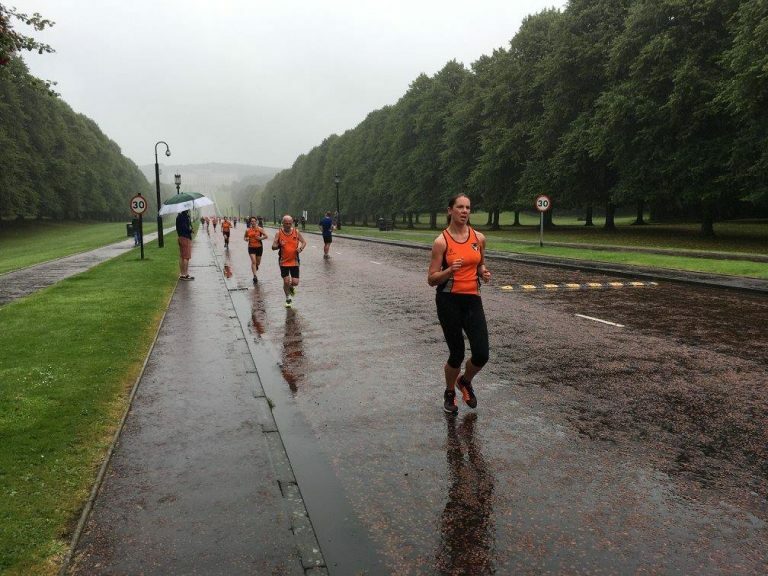 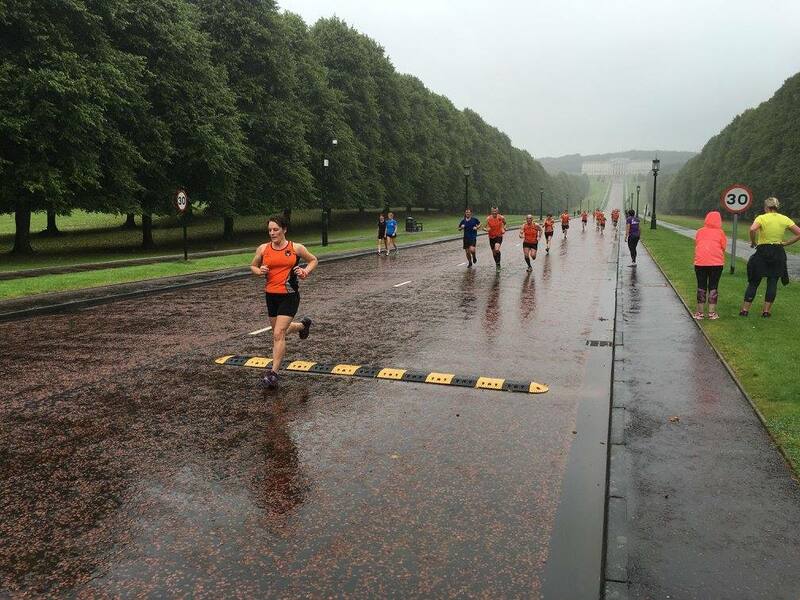 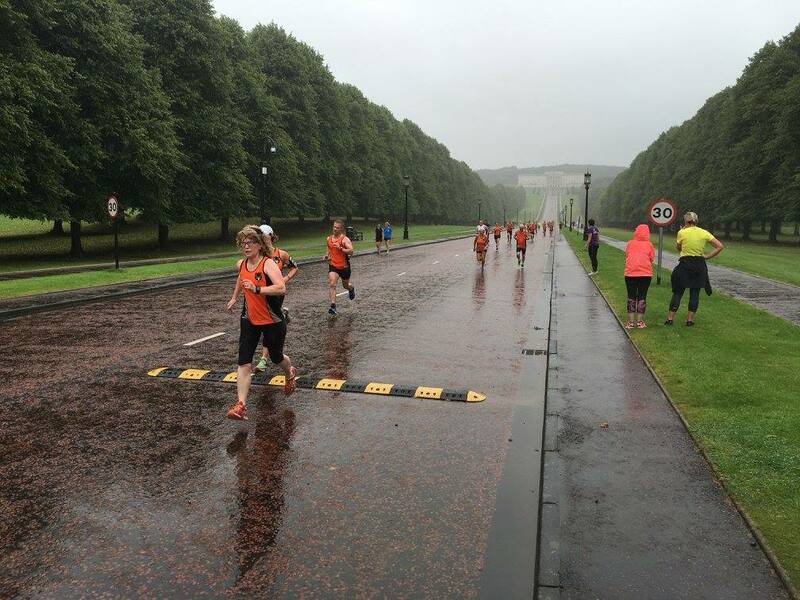 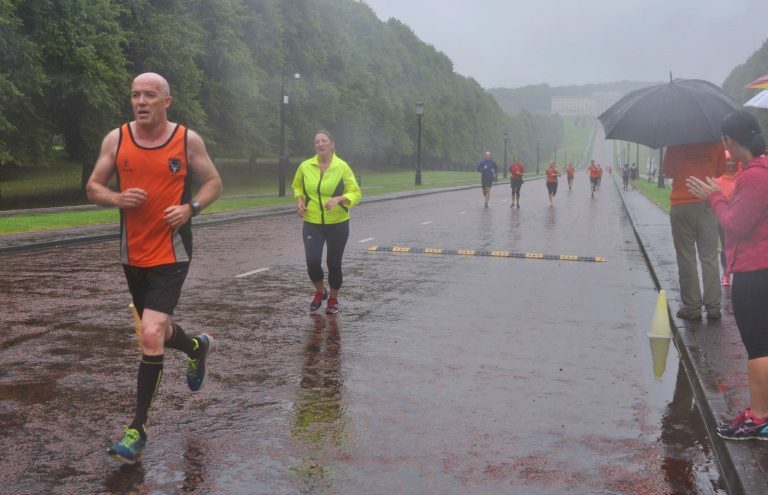 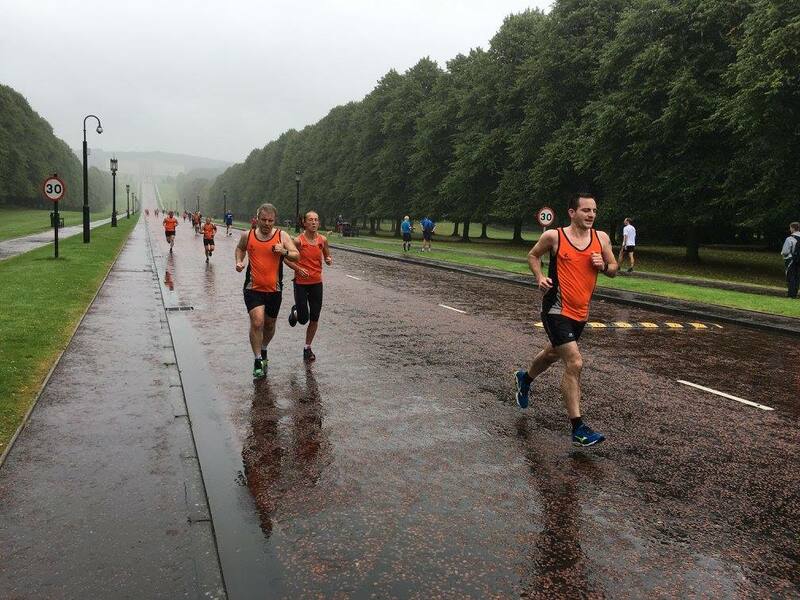 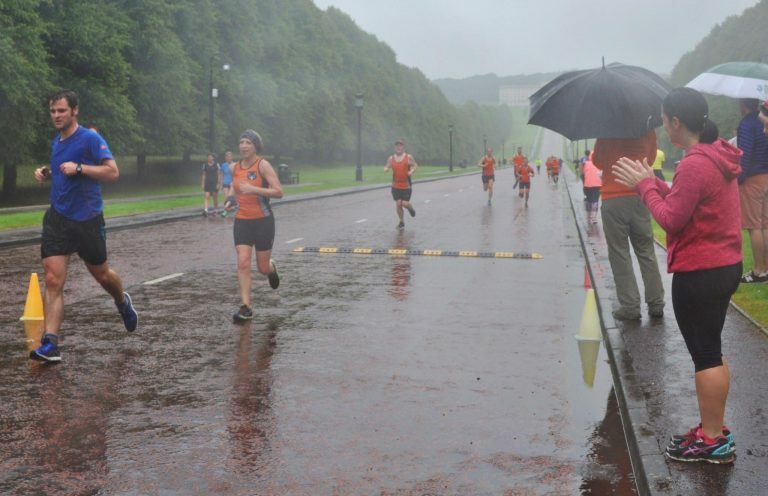 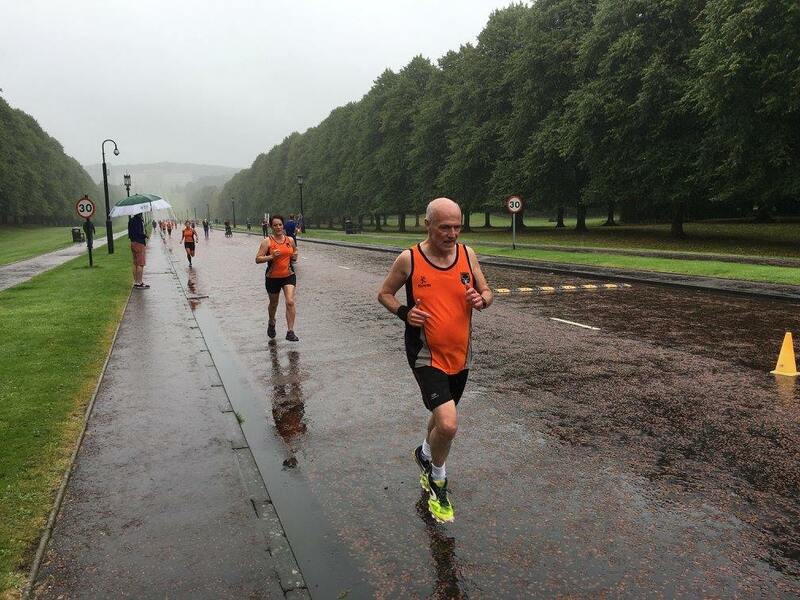 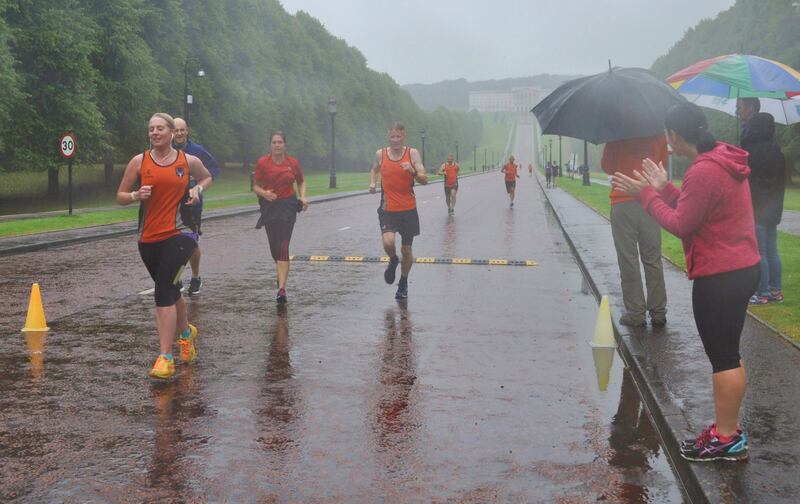 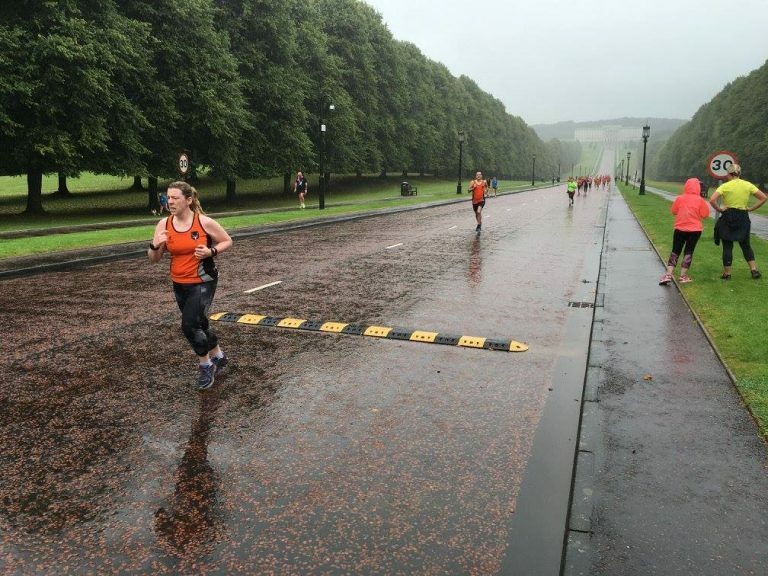 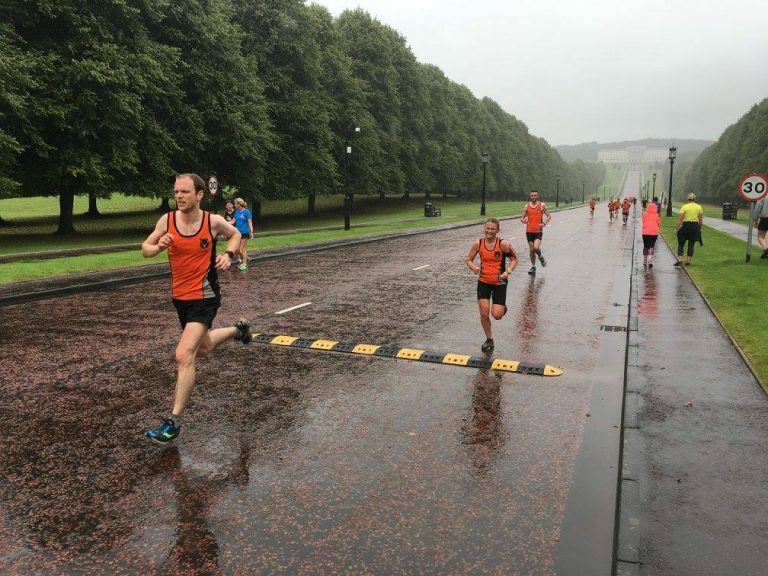 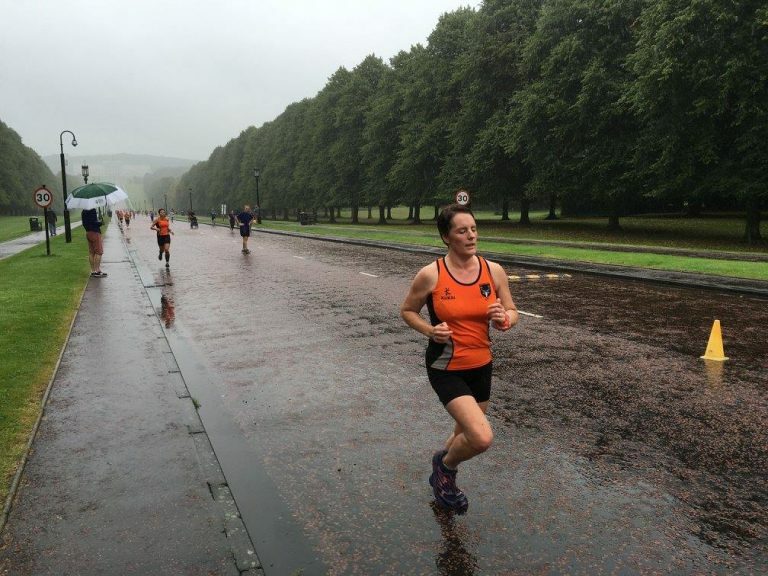 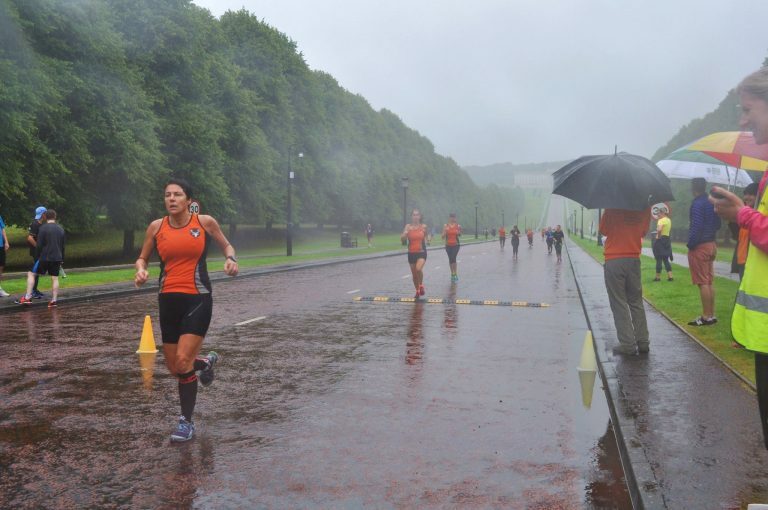 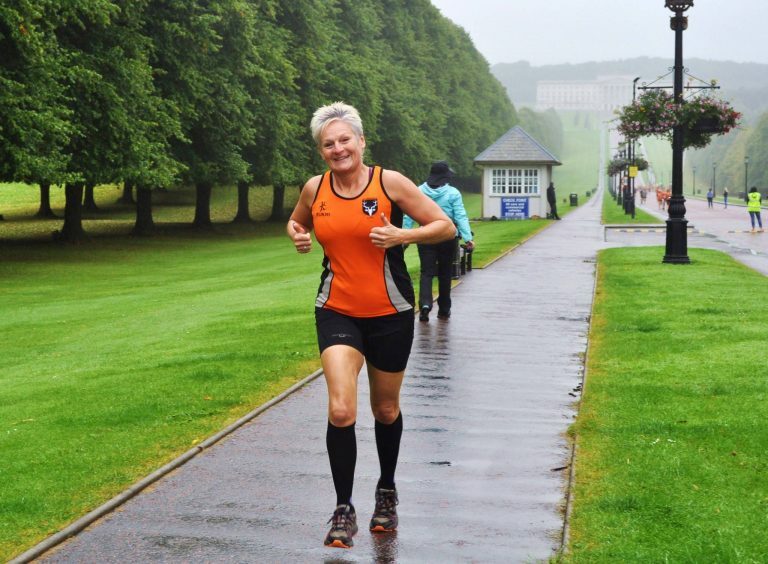 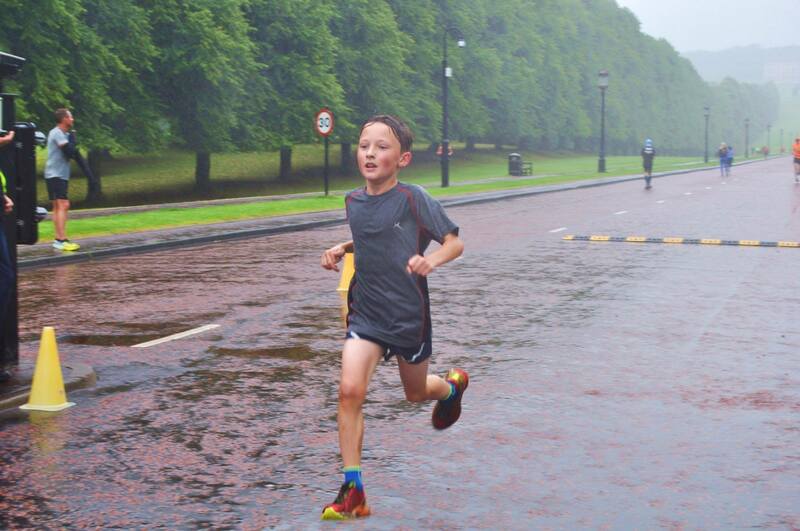 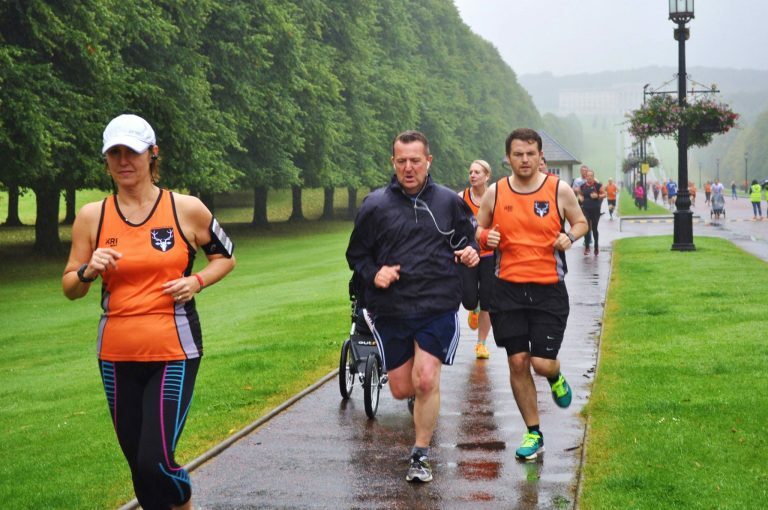 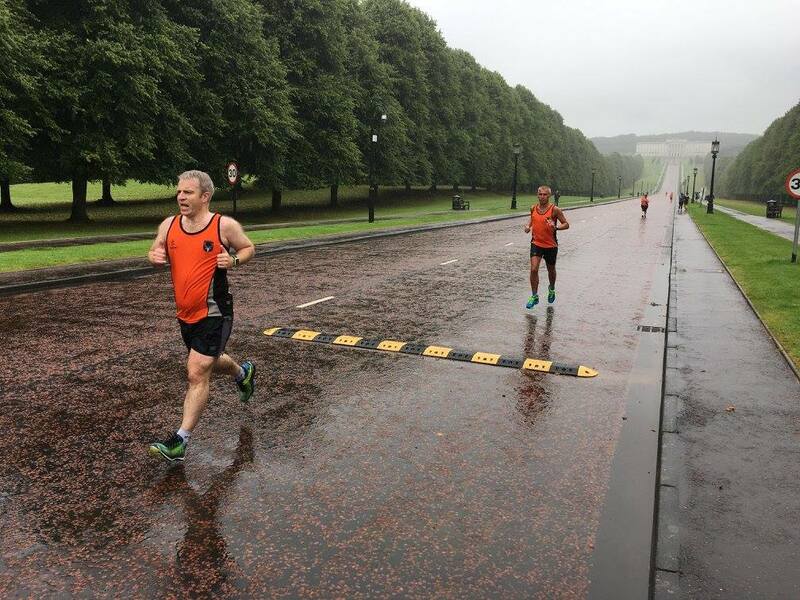 Our website also declares that we: “Work together to accomplish more” – That’s our club motto and it was no more evident than on Saturday when, despite heavy rainfall at times, a vast turnout made a success of our annual OAC Stormont Cup. 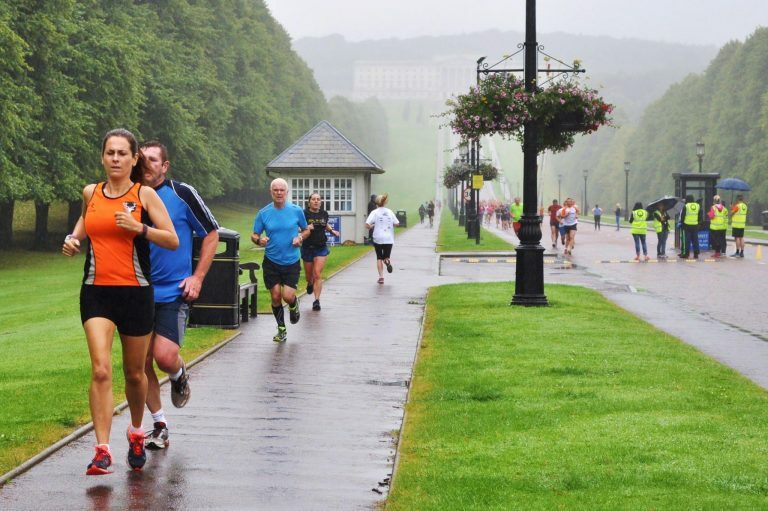 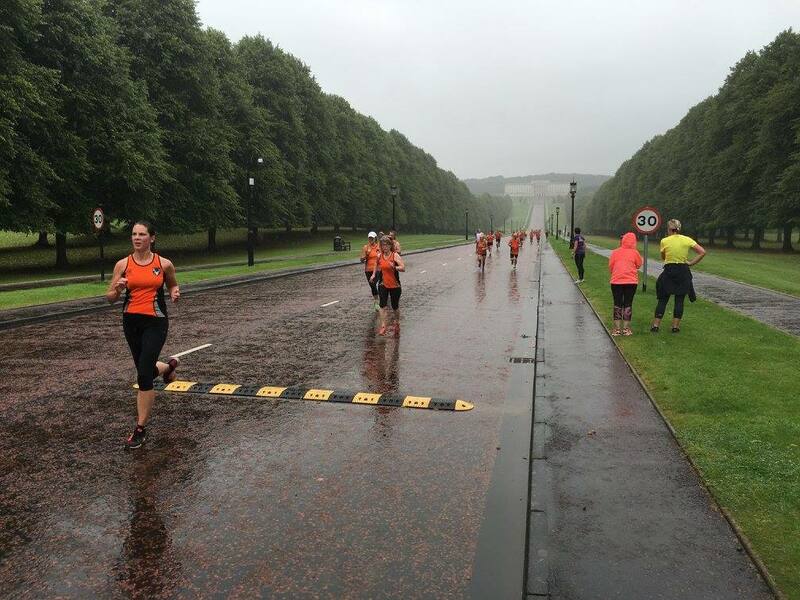 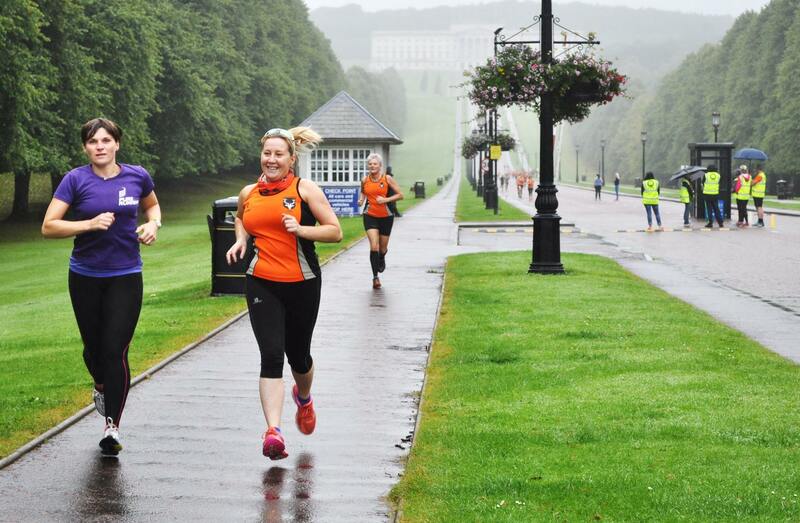 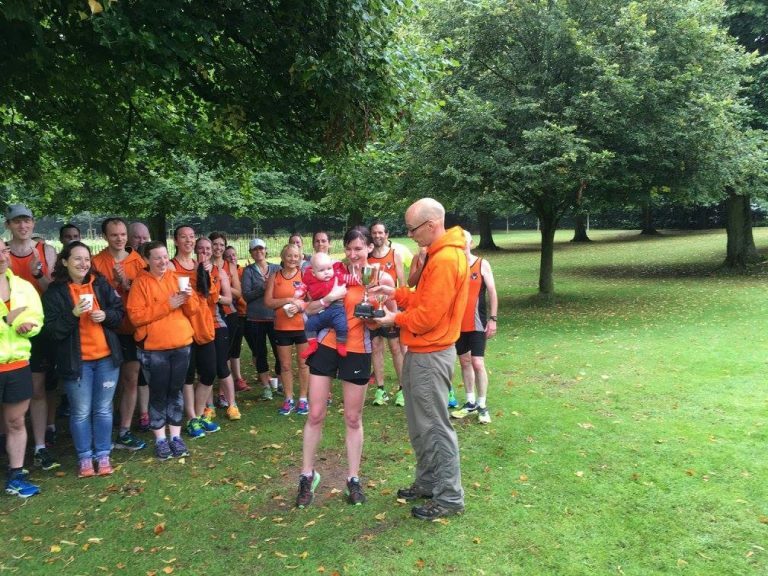 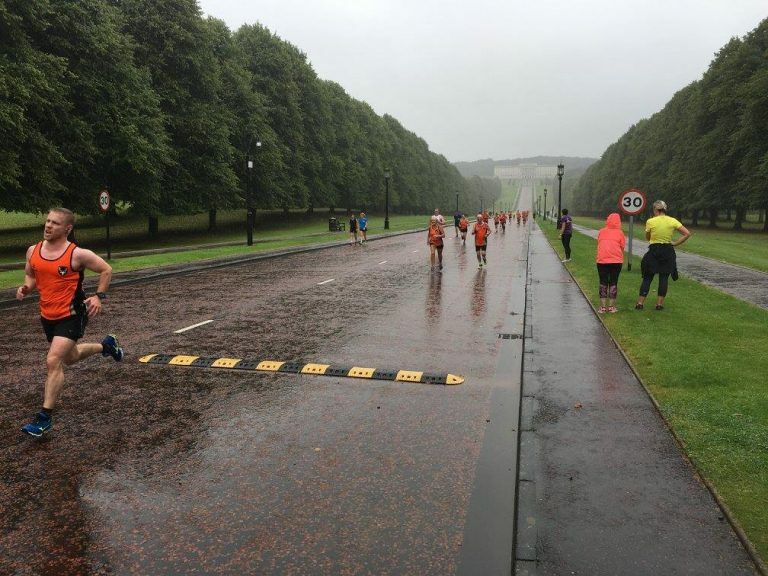 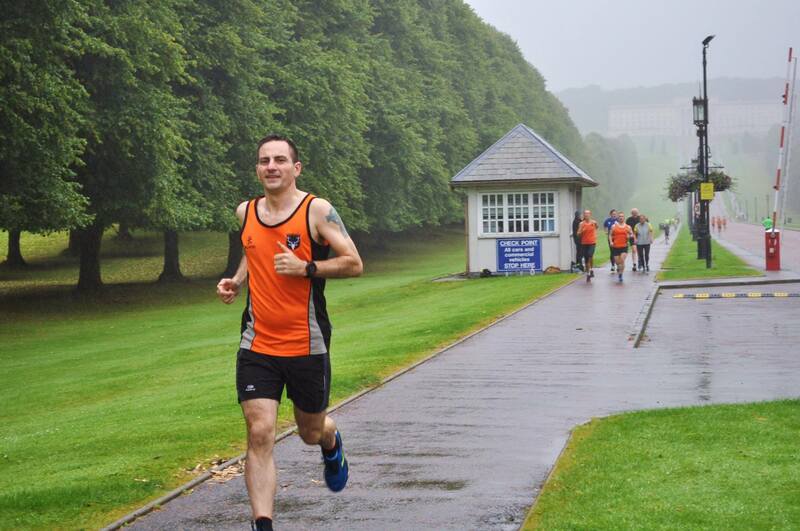 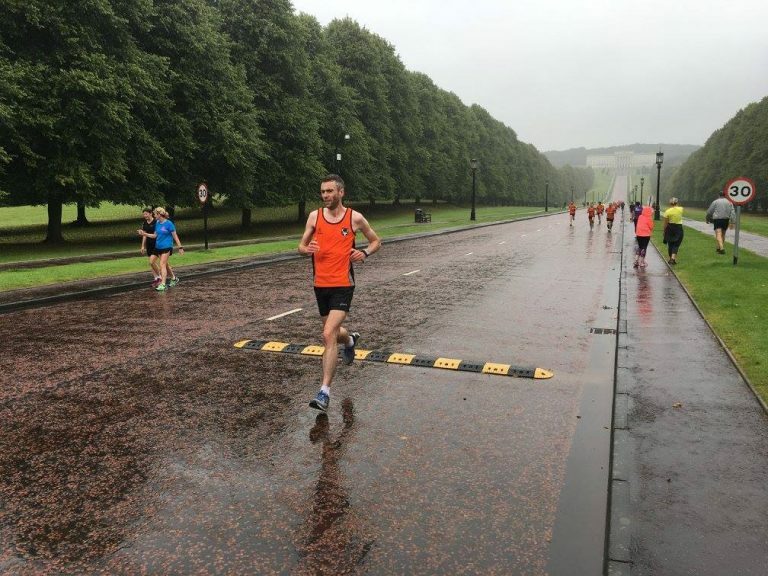 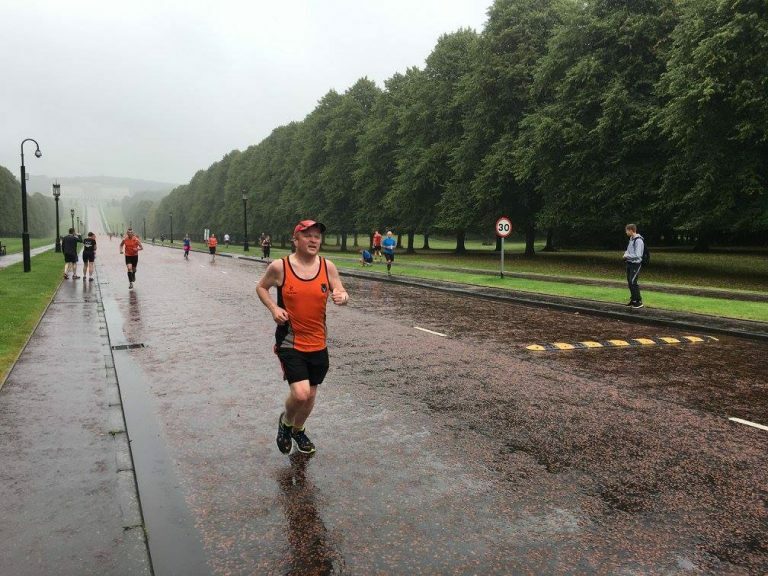 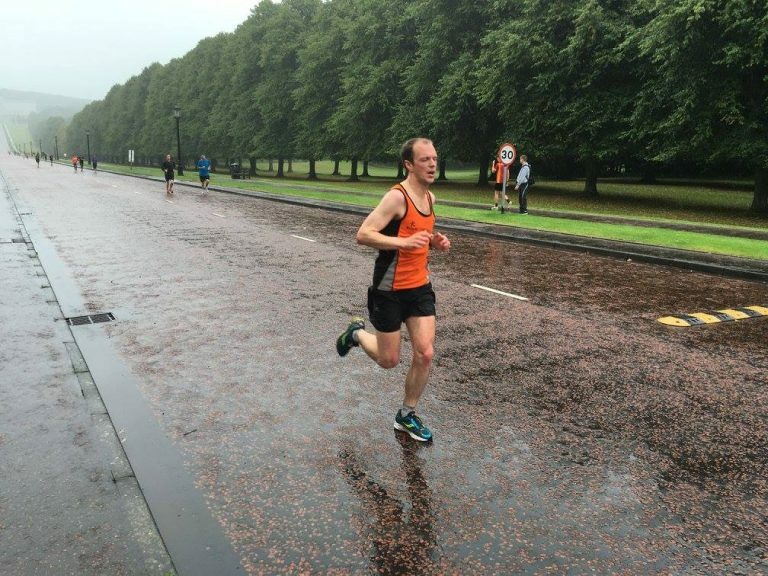 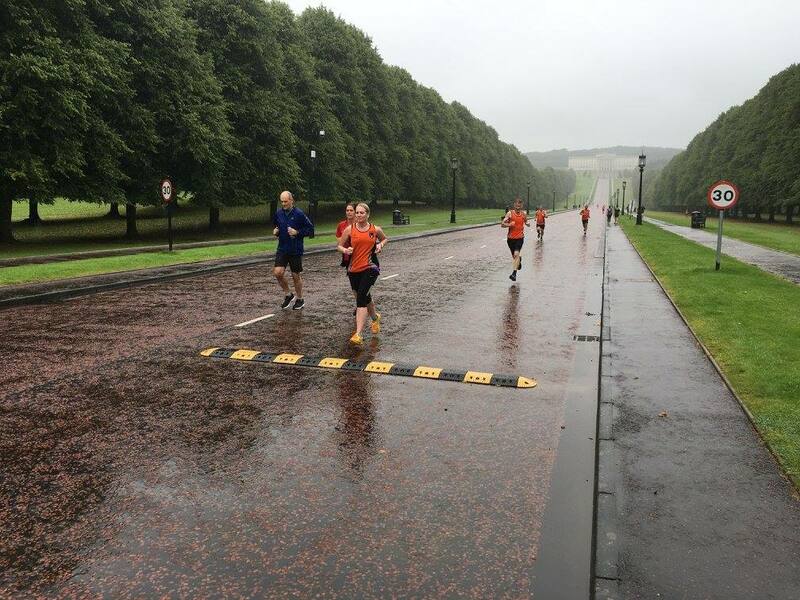 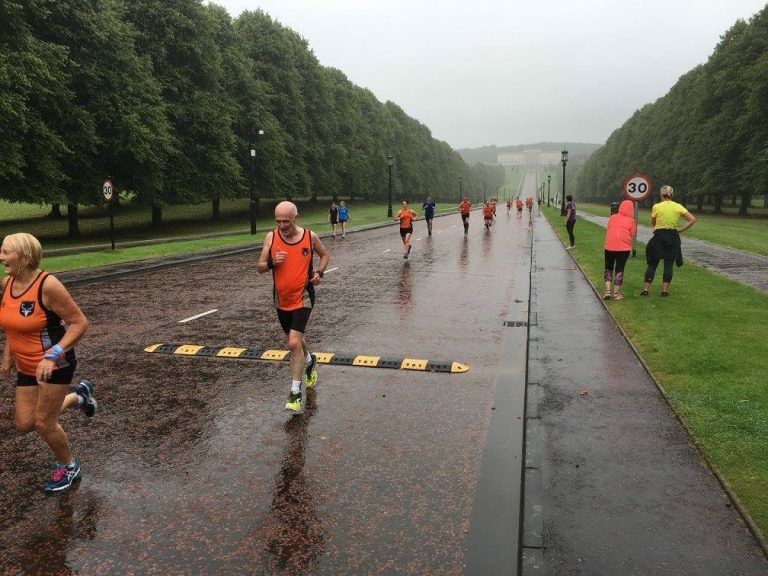 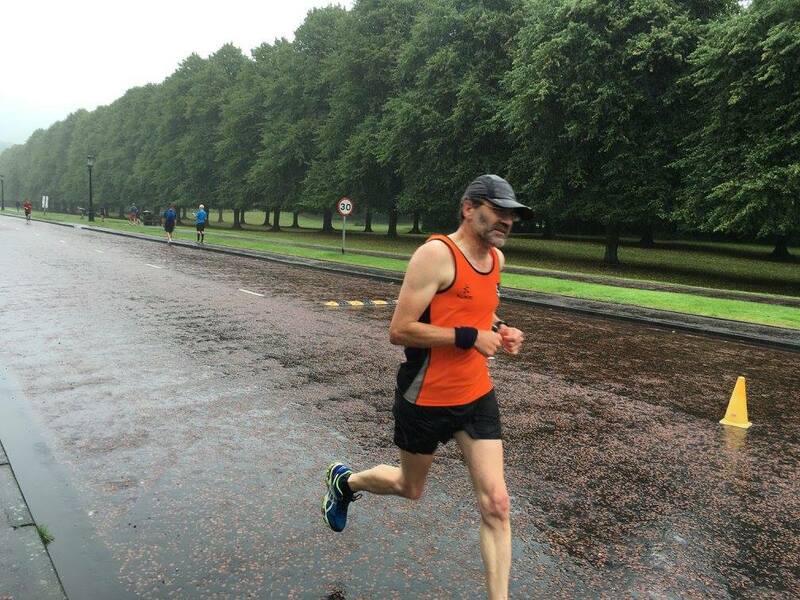 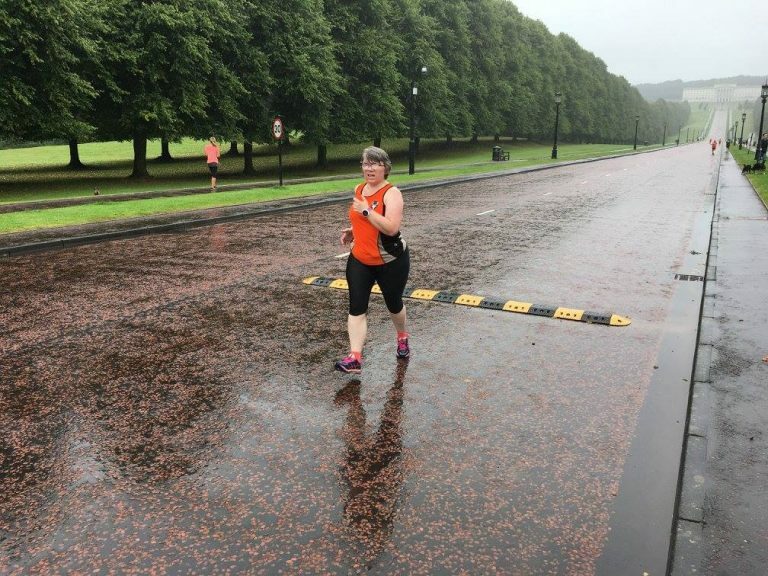 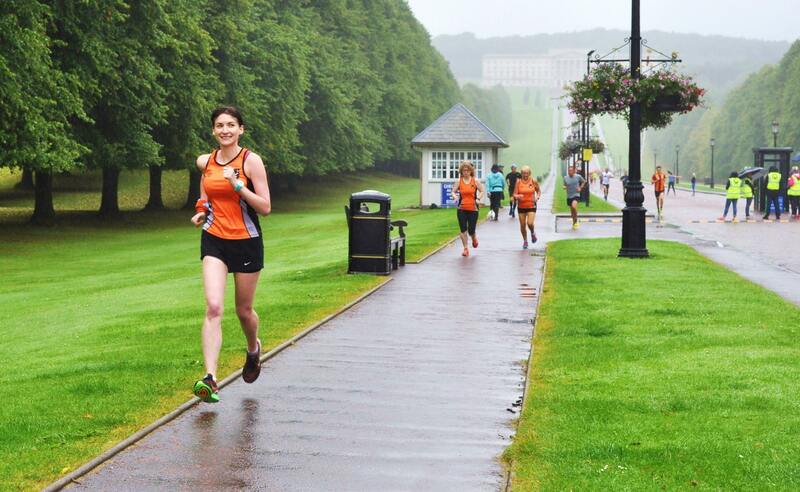 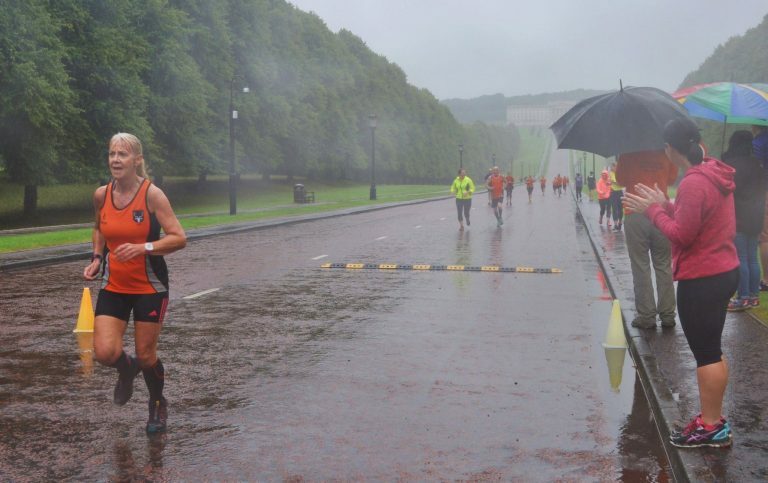 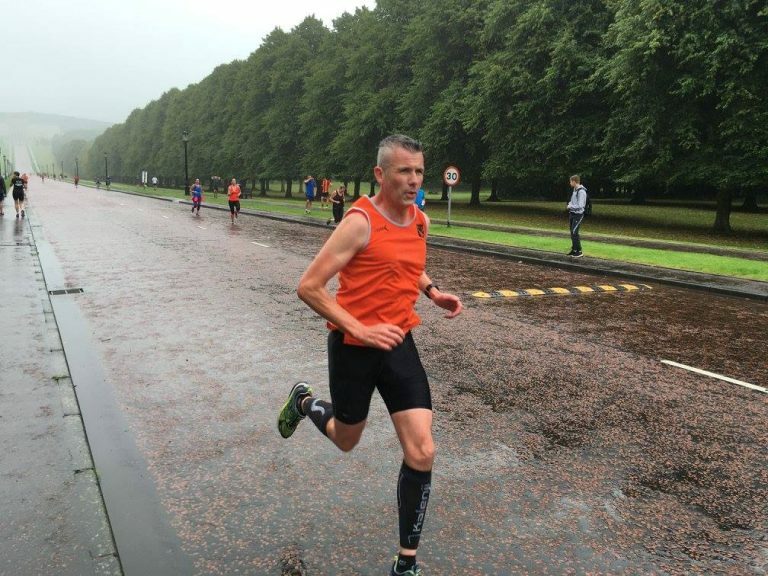 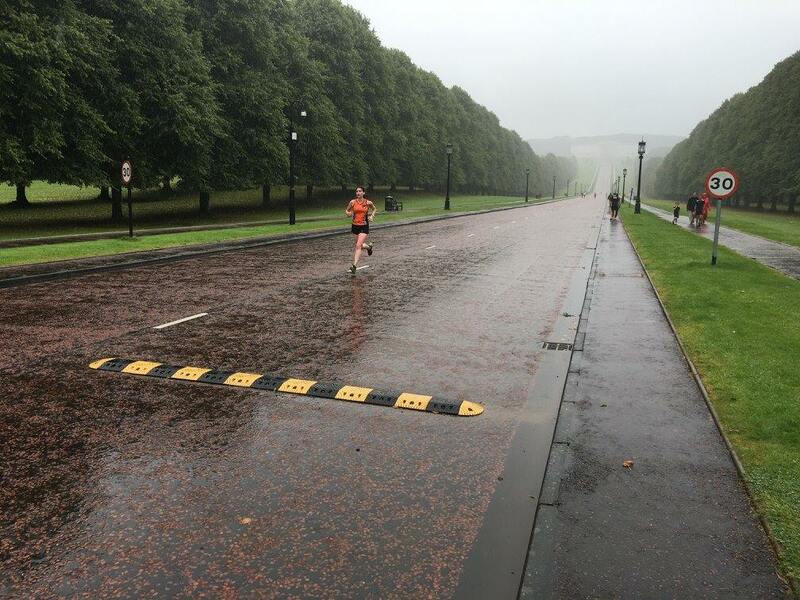 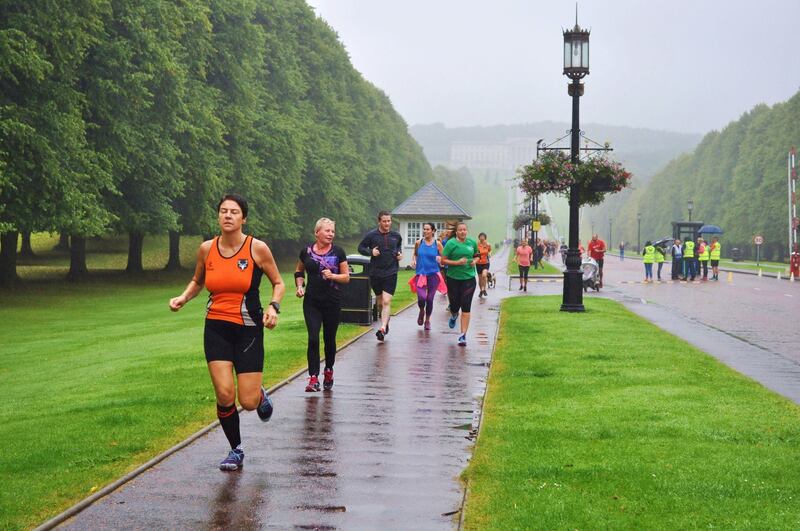 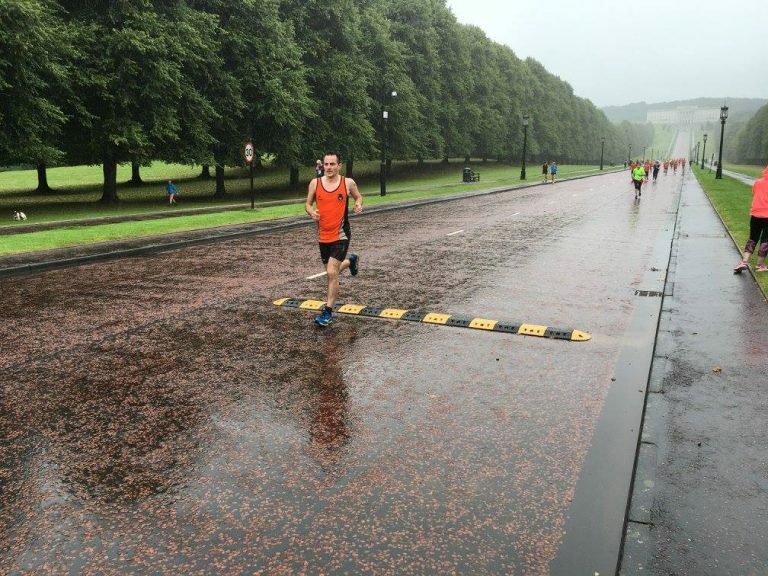 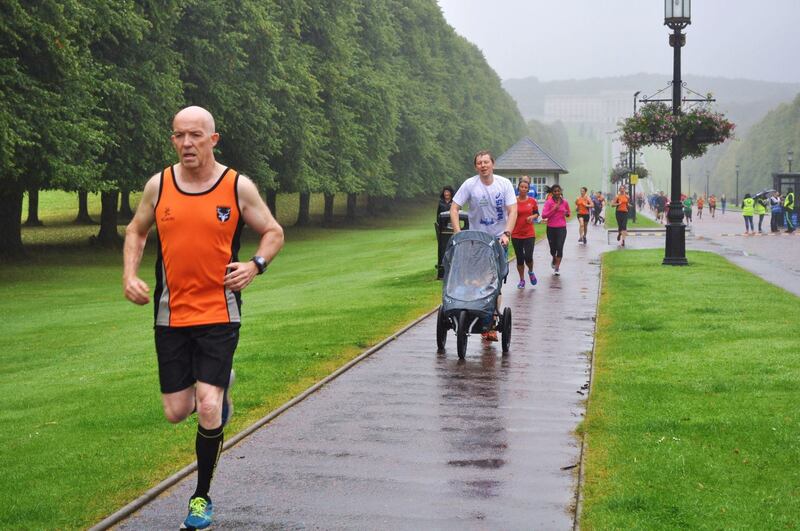 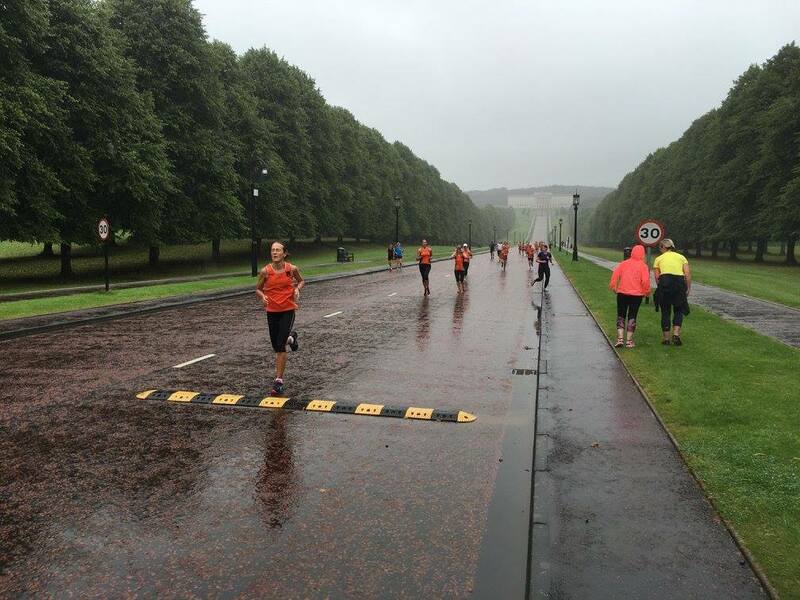 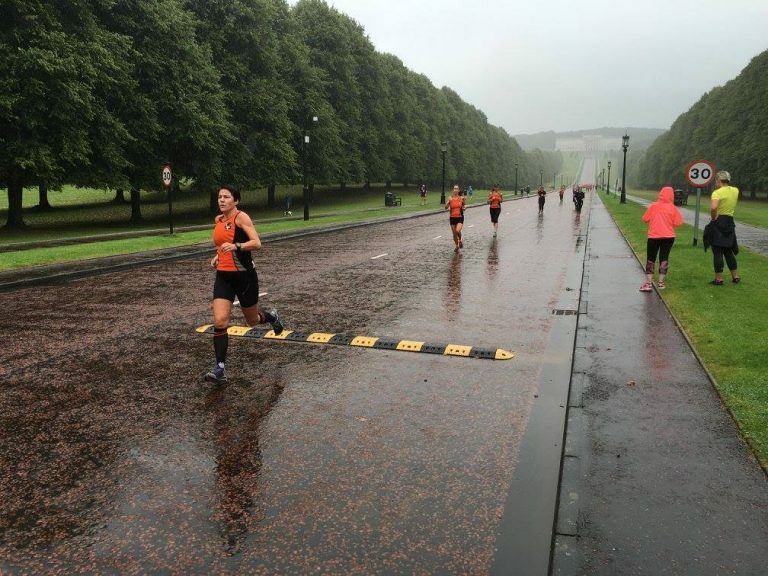 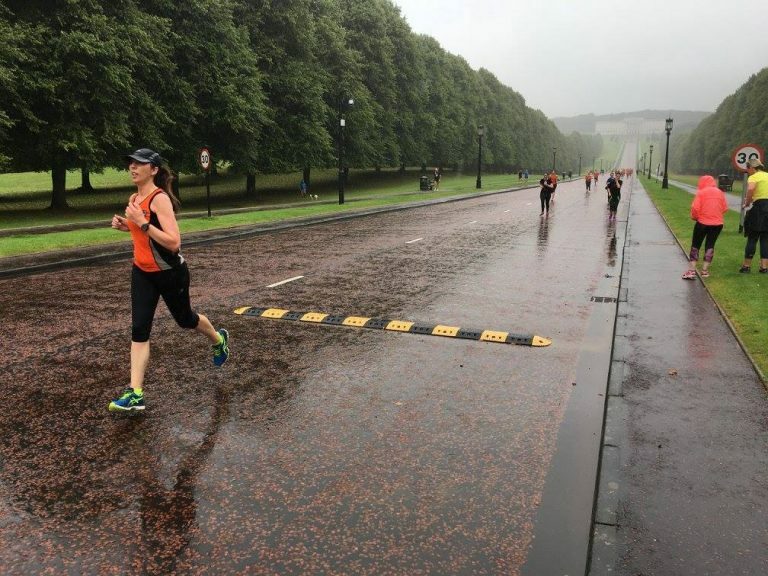 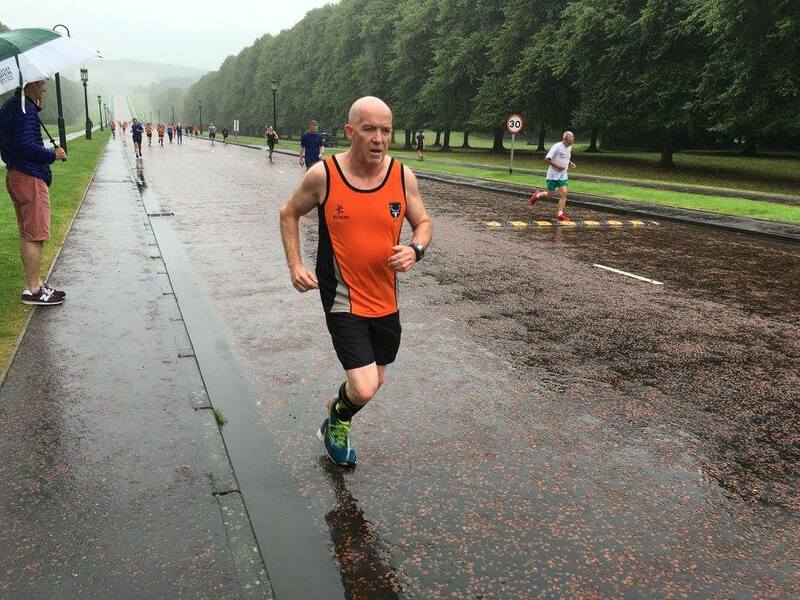 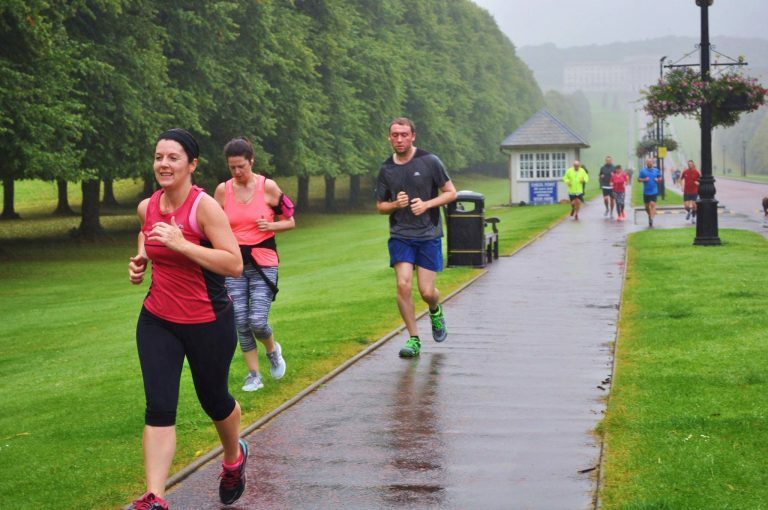 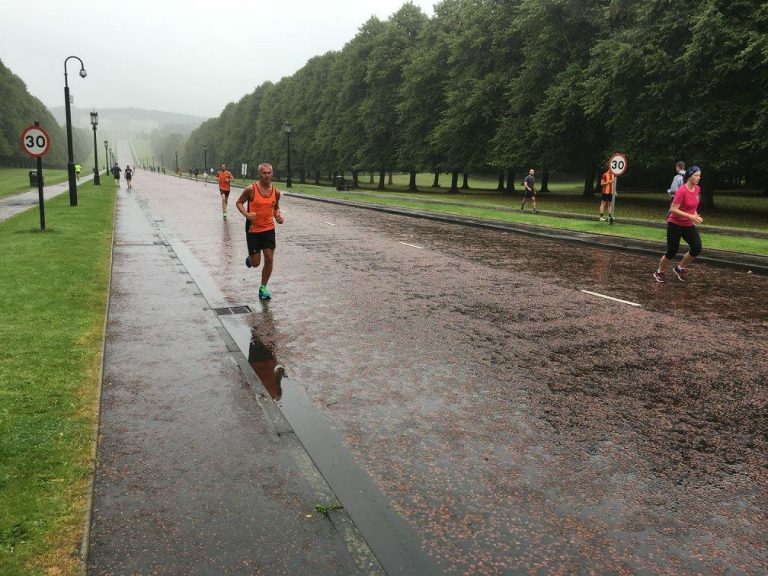 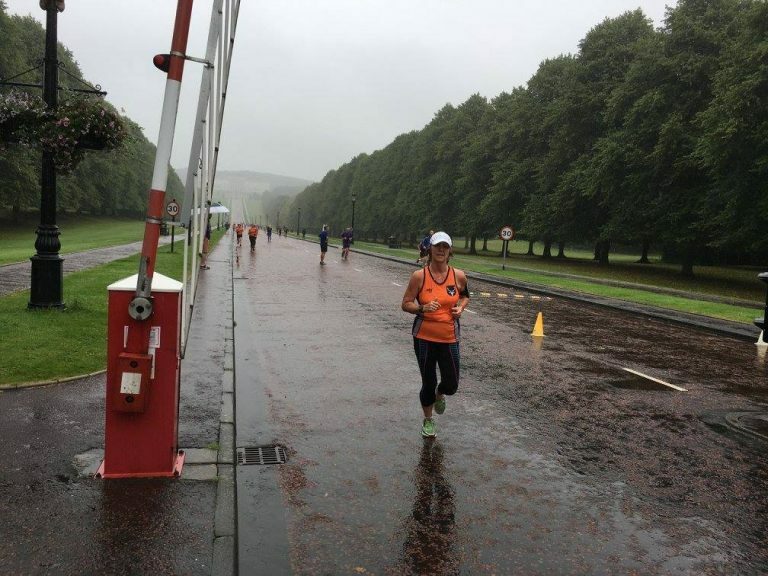 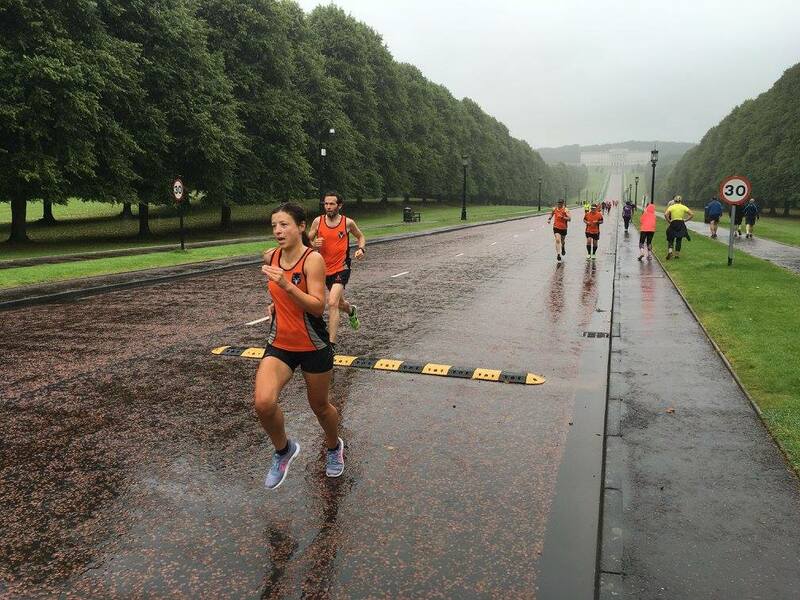 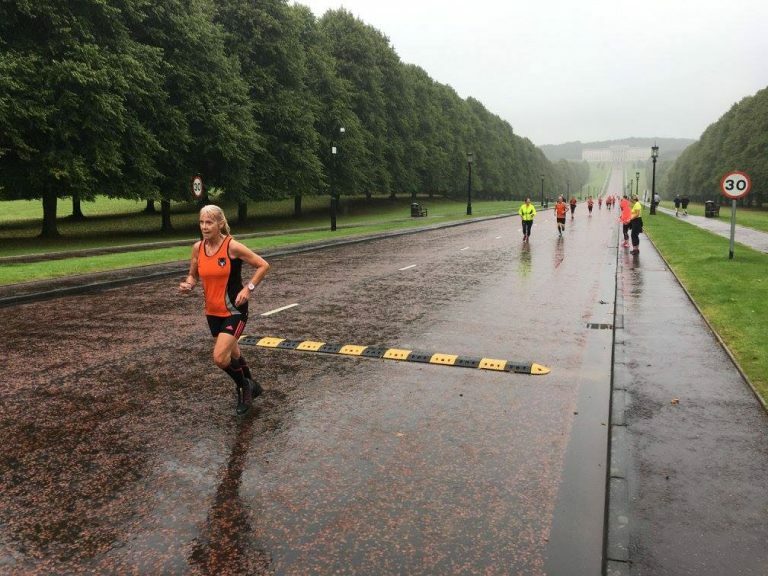 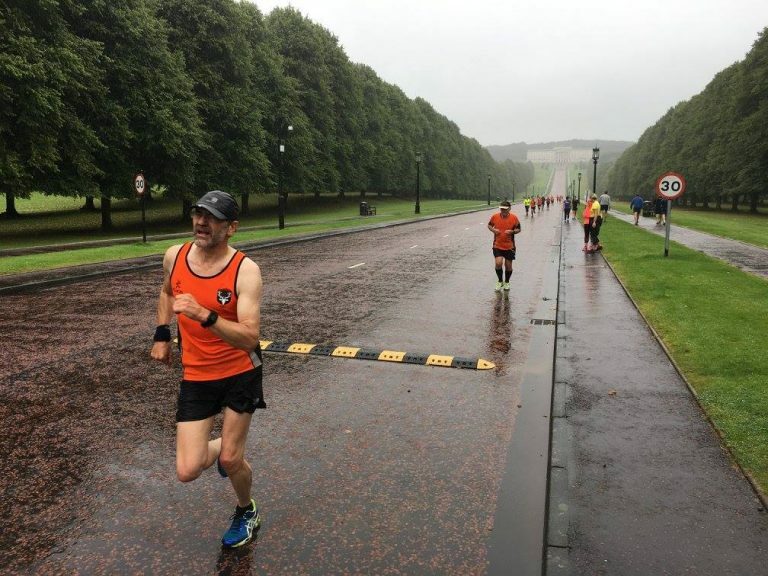 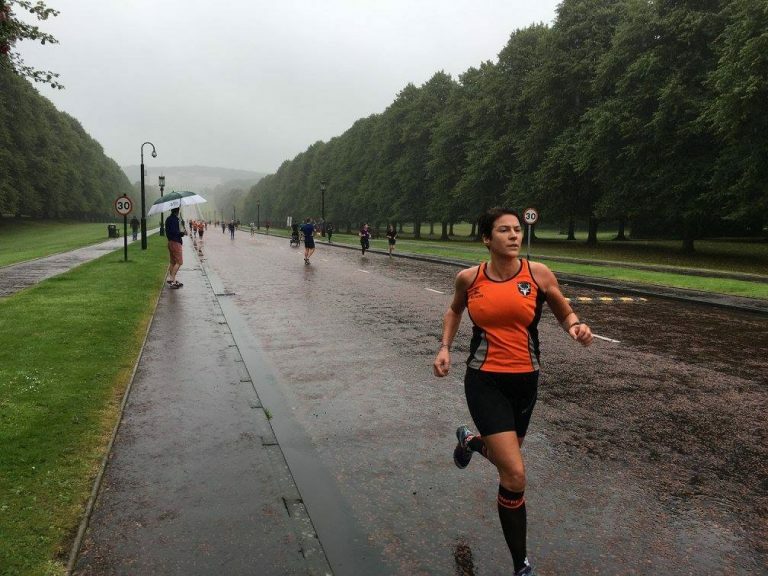 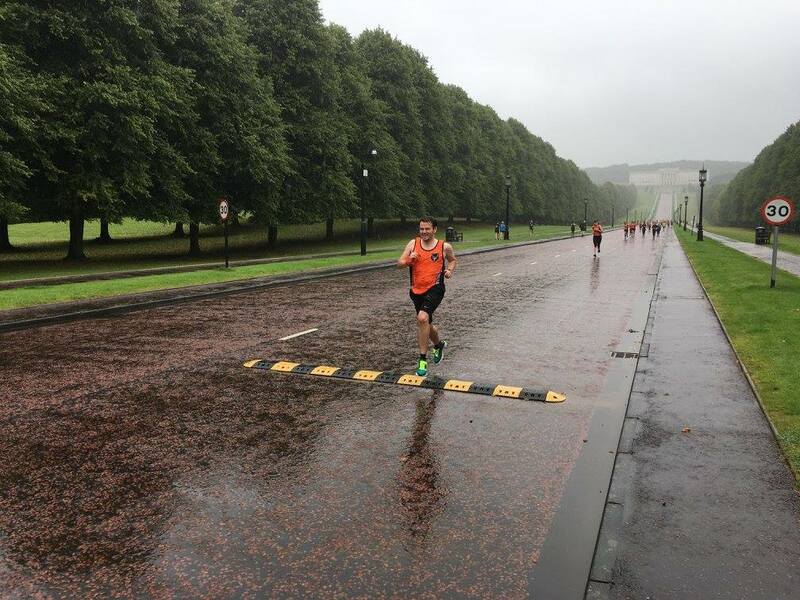 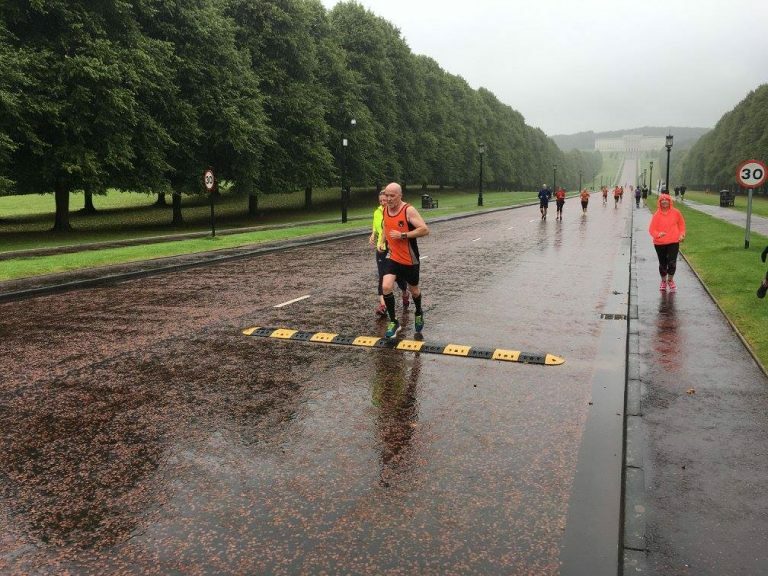 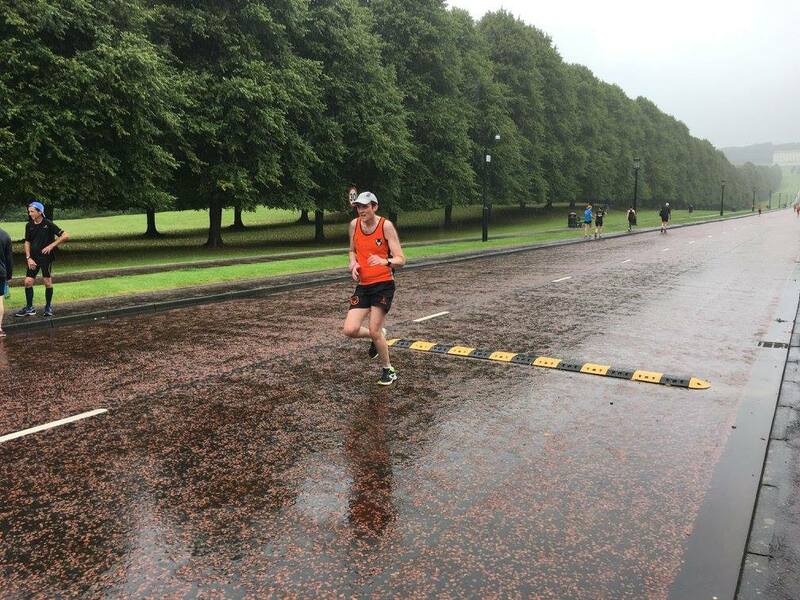 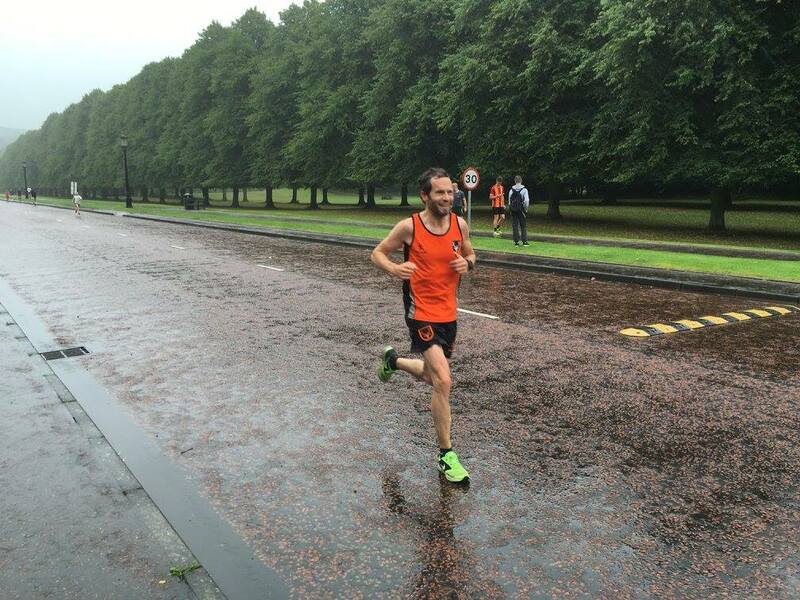 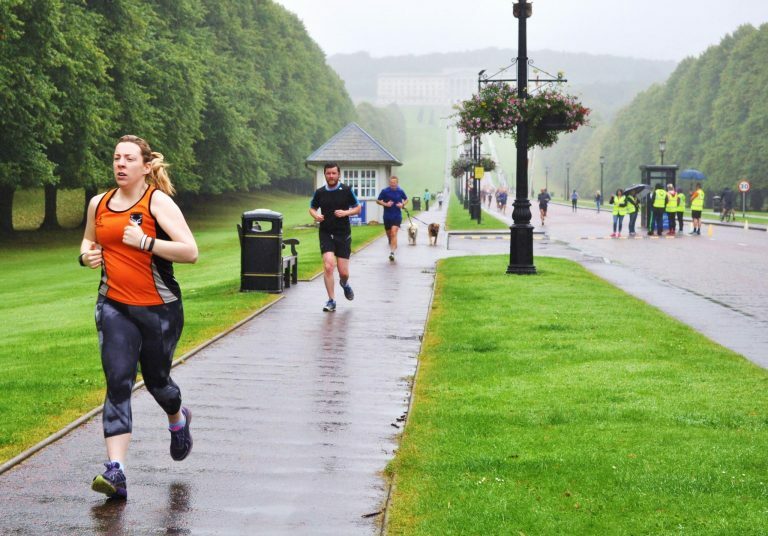 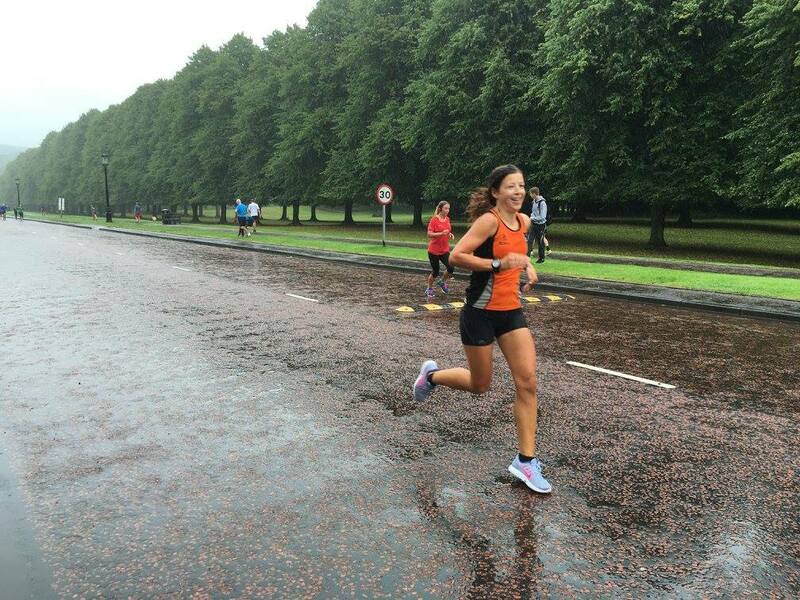 This Cup, and one of our internal Club Championship races, usually takes the form of a 5 mile race around the grassy grounds of Stormont Estate but as we were expecting a large turnout this year we decided to use the excellent Stormont parkrun on Saturday as our course. 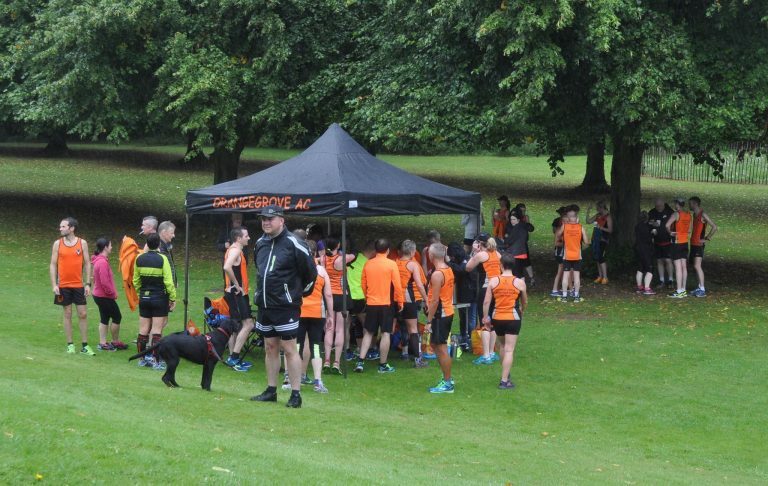 This was a handicapped 5K race for OAC members where the starting times were staggered based on recent 5K PBs and which entails everybody putting in a lot of effort to either stave off being overtaken or to get involved in overtaking yourself. 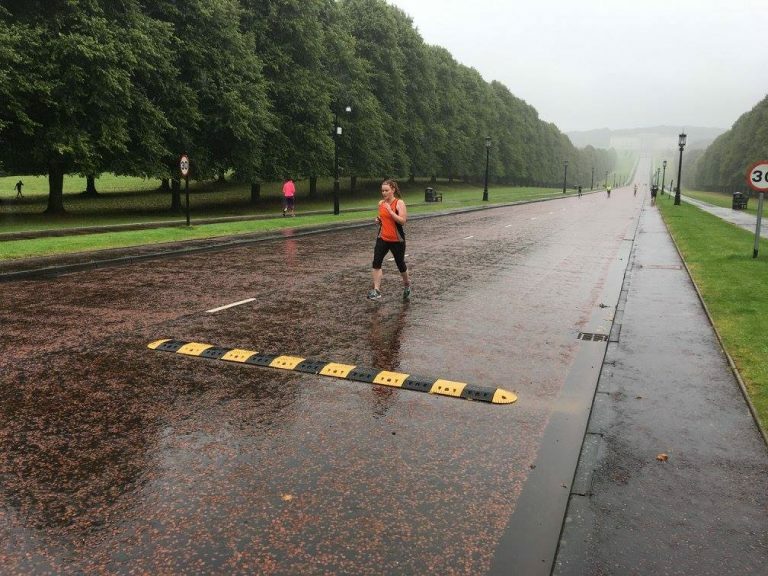 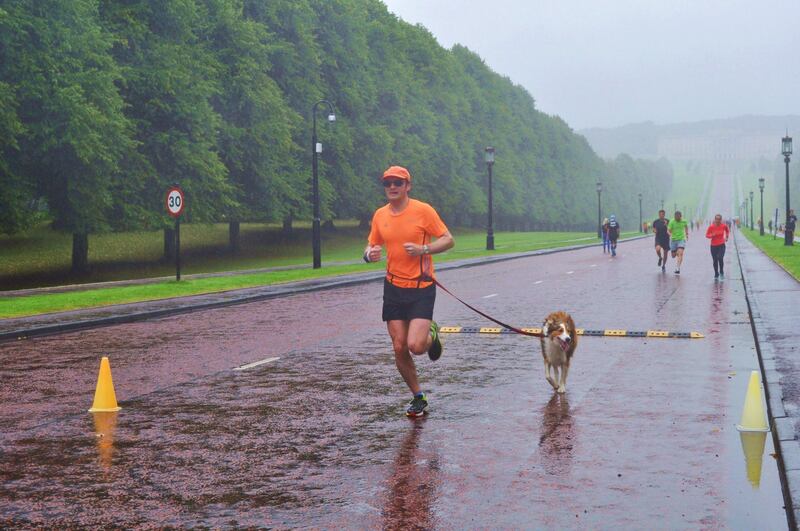 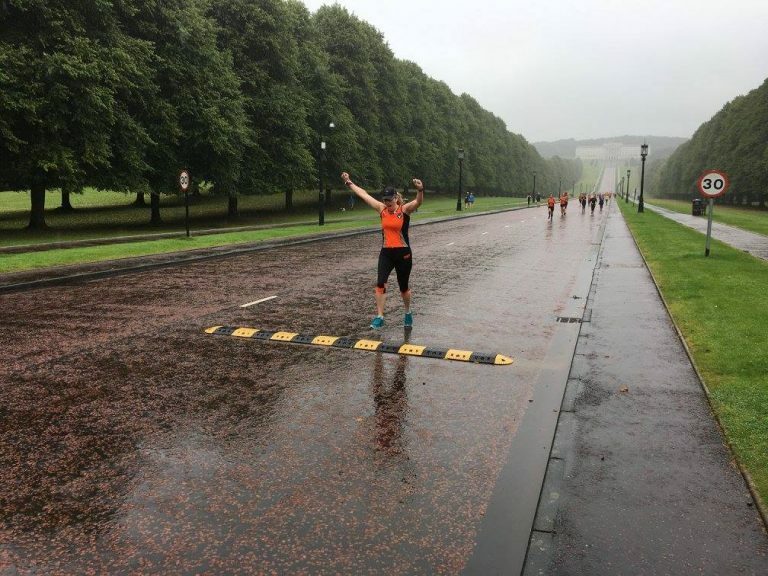 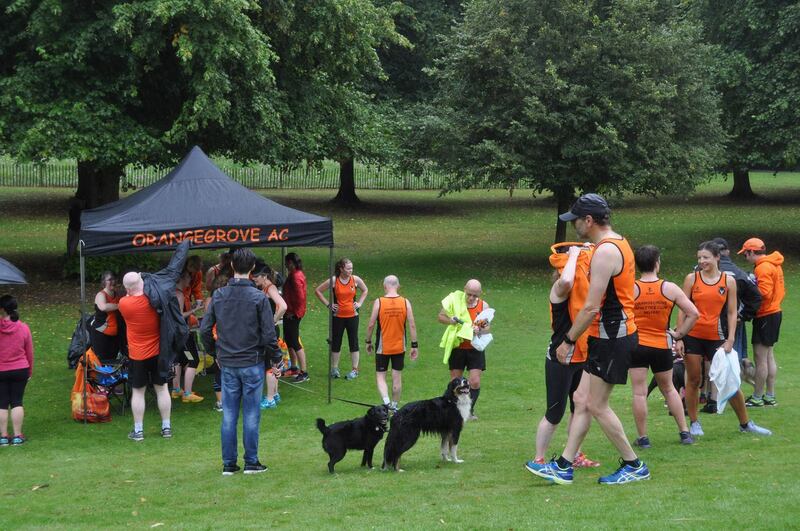 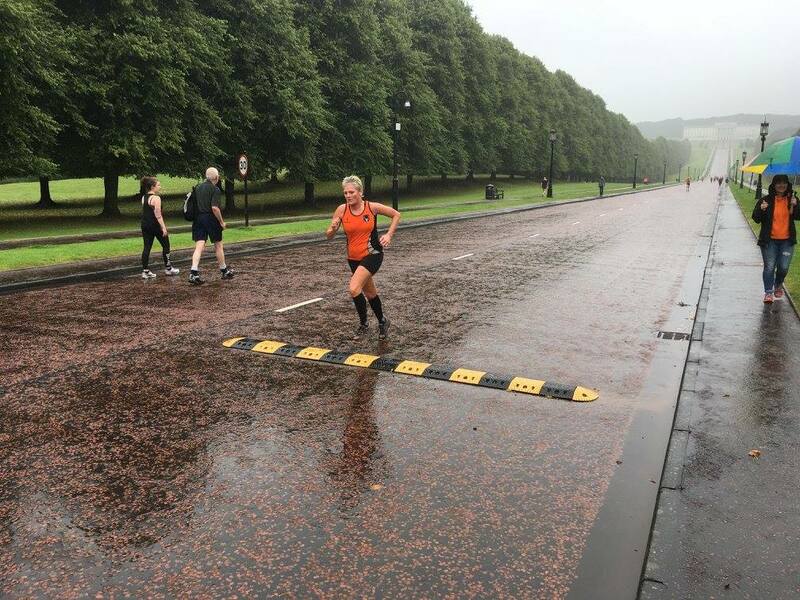 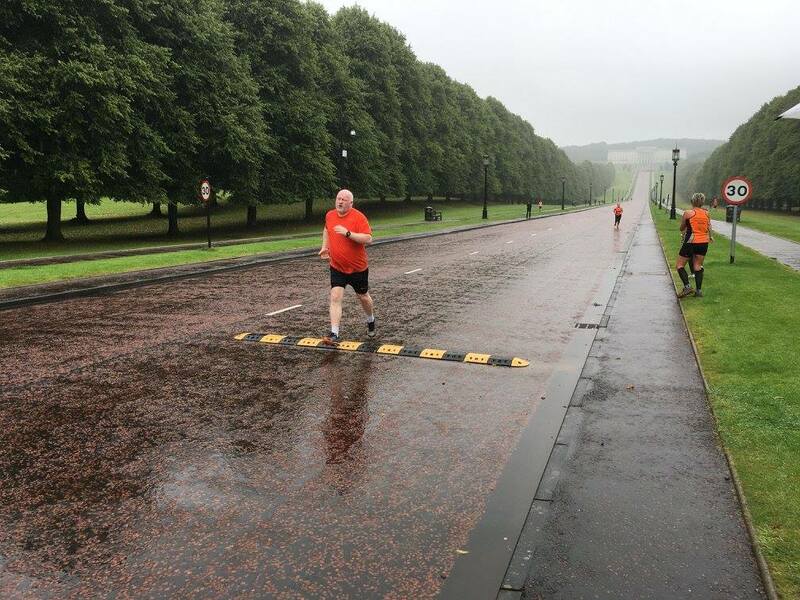 An interesting concept which keeps it competitive but also makes it fun, although it was a little strange letting the Stormont Parkrunners start without us all immediately giving chase! 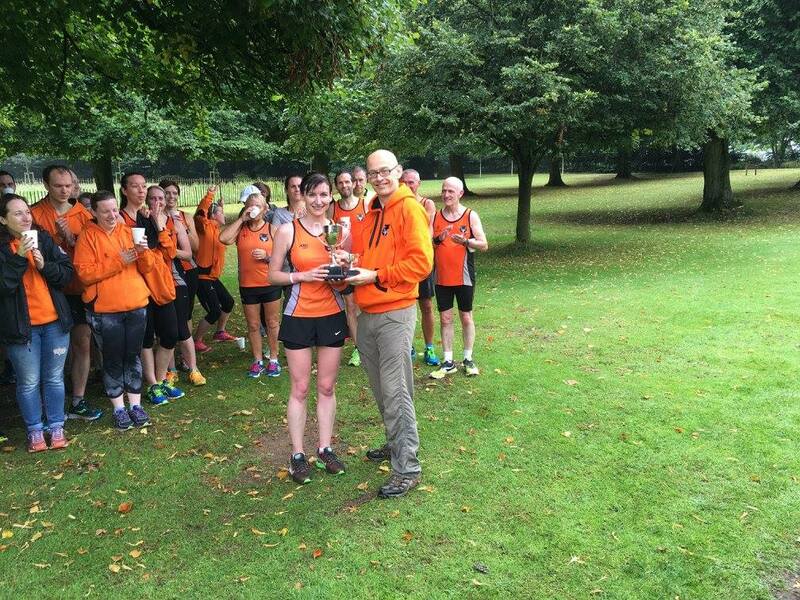 Great running by all 3 ladies and Martin Walker being the 1st Male home in 4th place and well done to everyone as the big turnout made it more exciting. 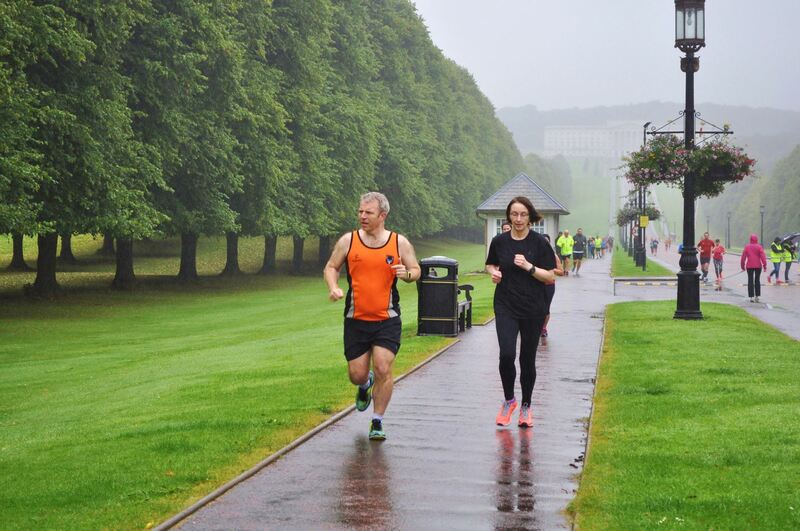 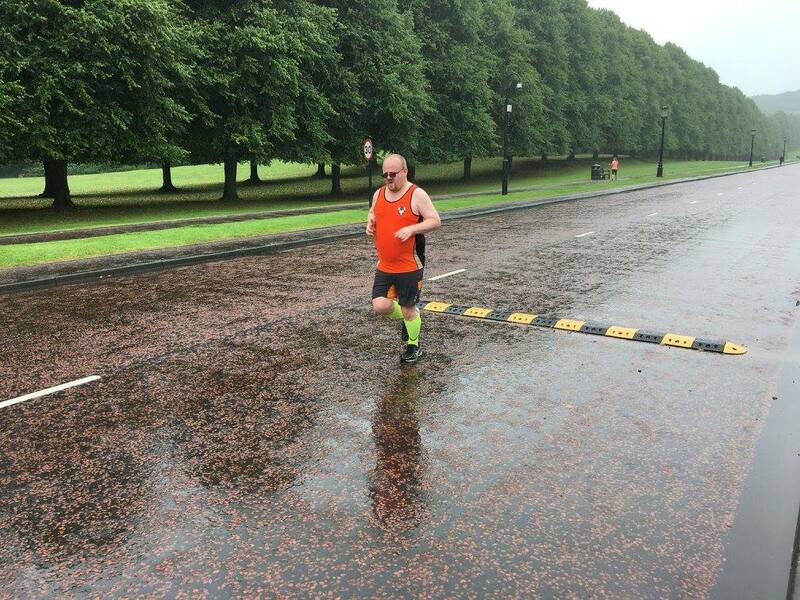 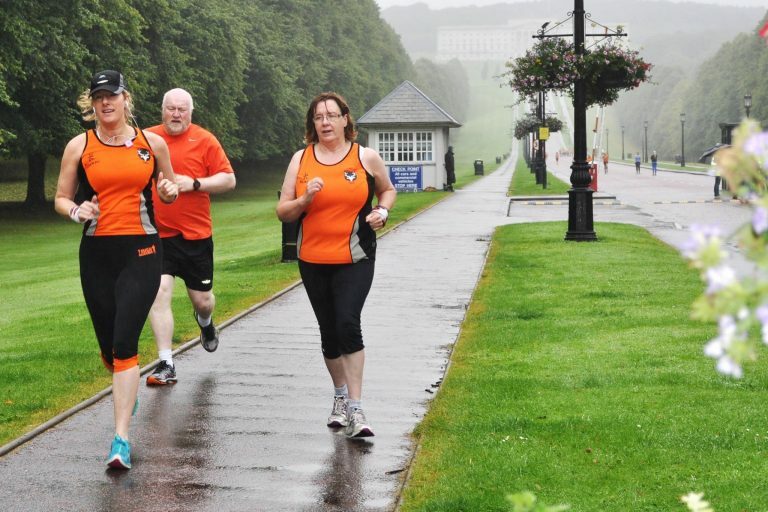 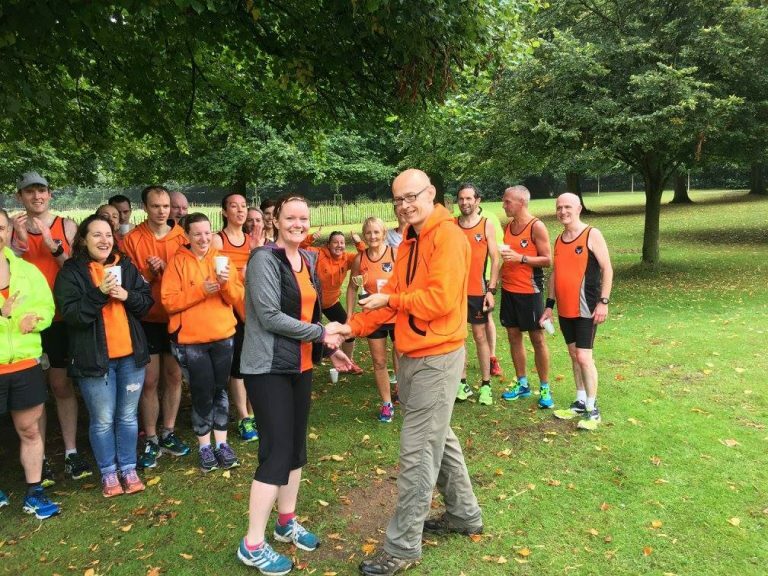 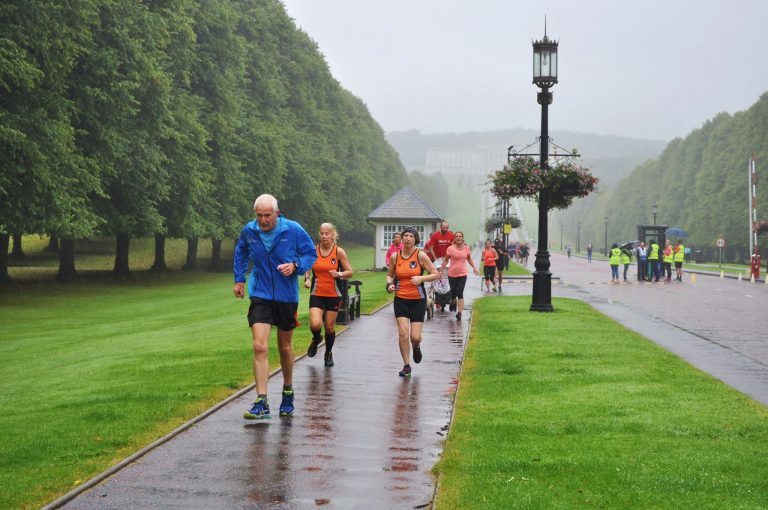 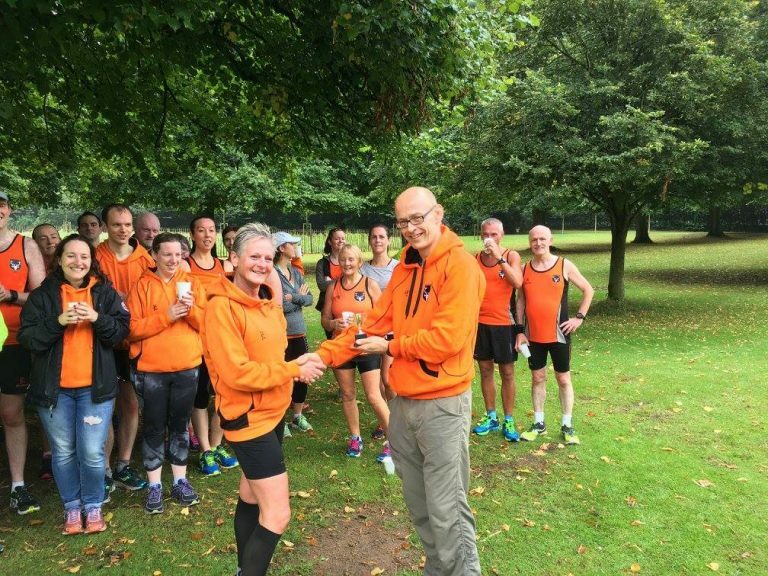 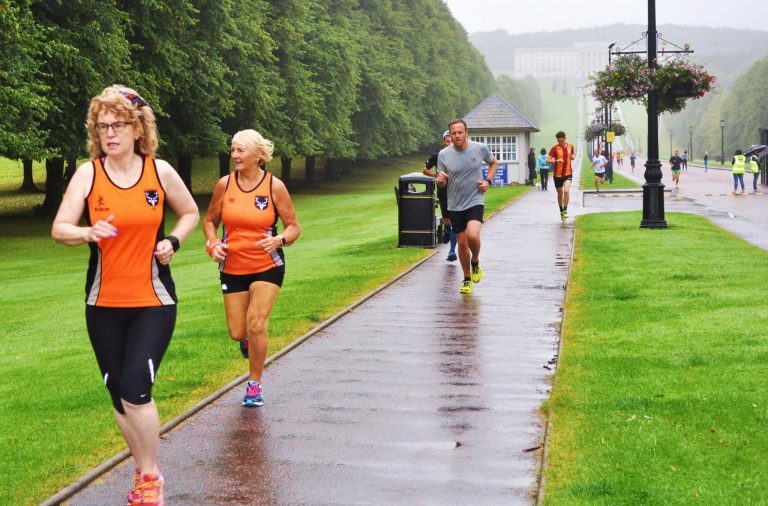 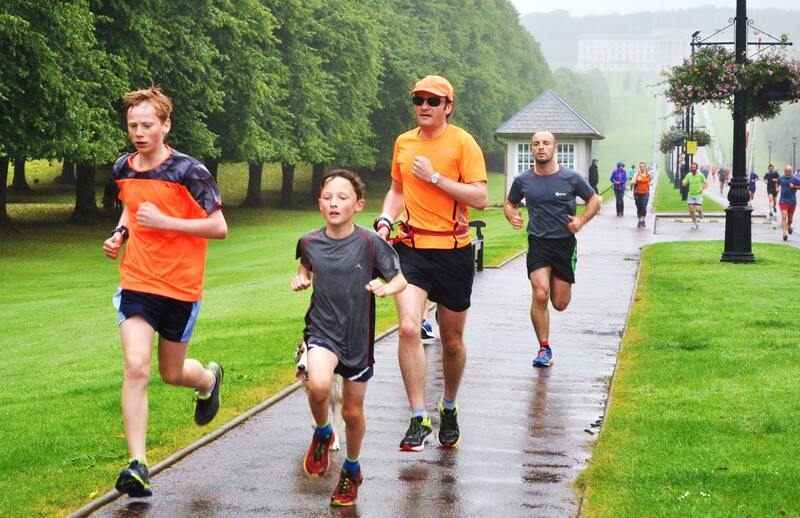 Thank you very much to Stormont Parkrun for letting us use their event and hope that we added some colour as opposed to getting in anybody’s way and special thanks goes to the Club Captains, Robin and Eleanor for organising a great race and making the staggered start run very smoothly!